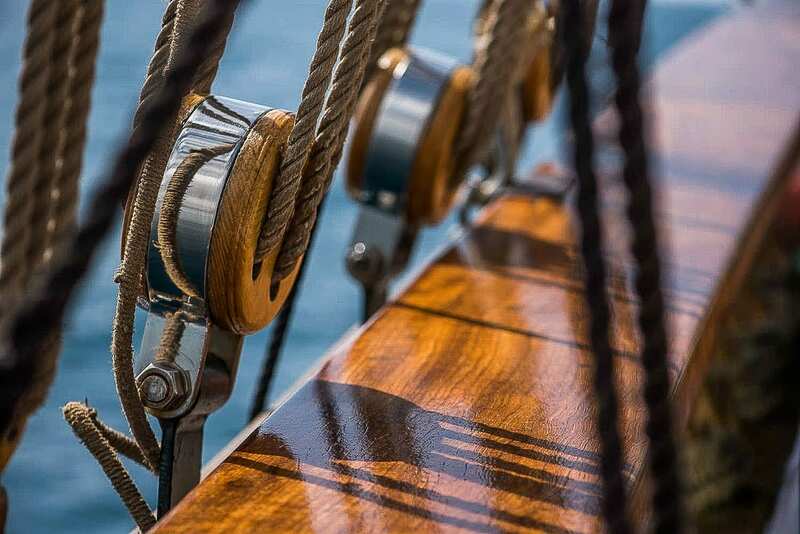 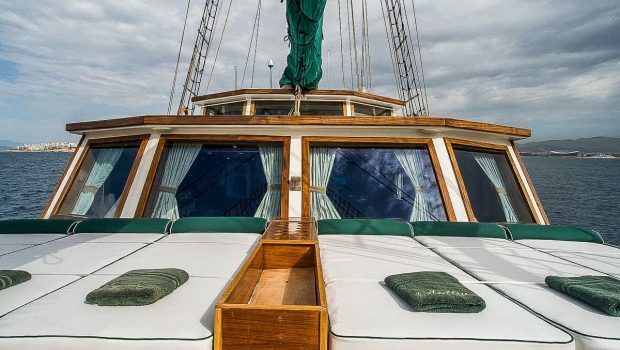 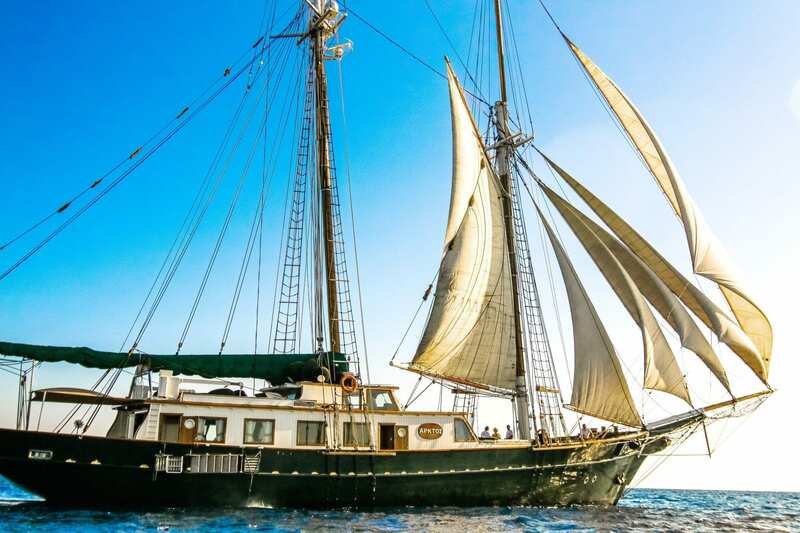 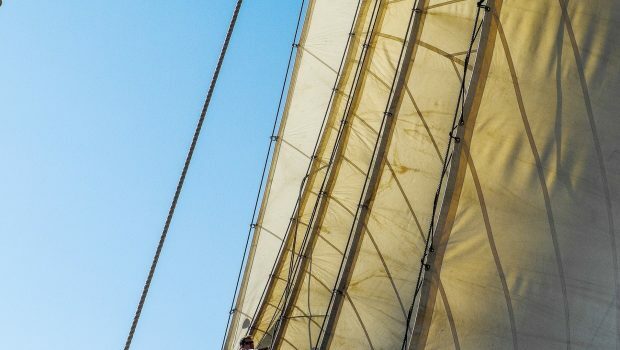 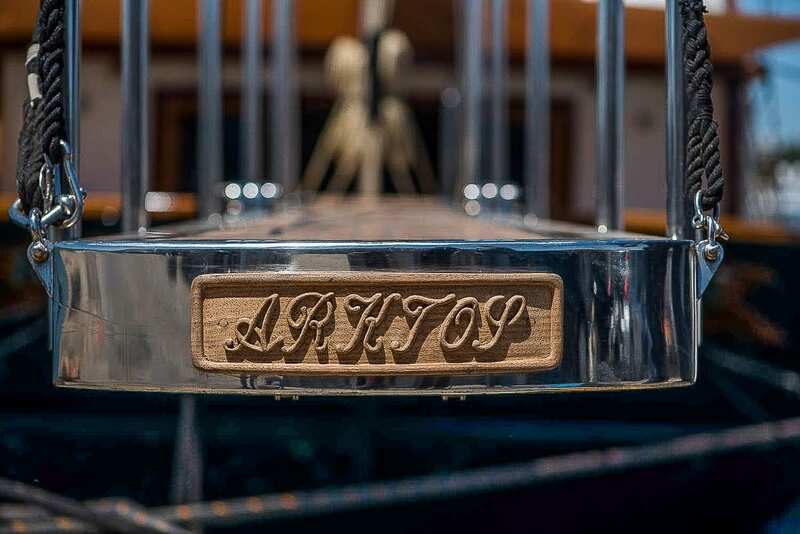 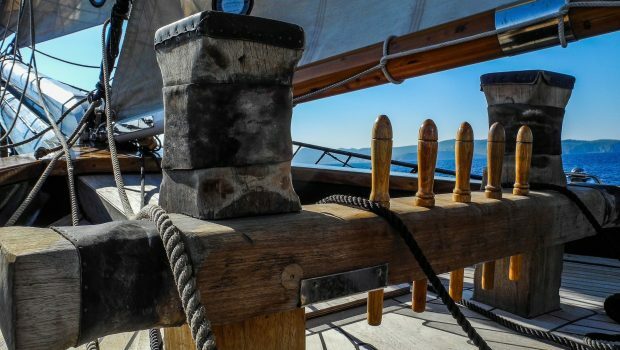 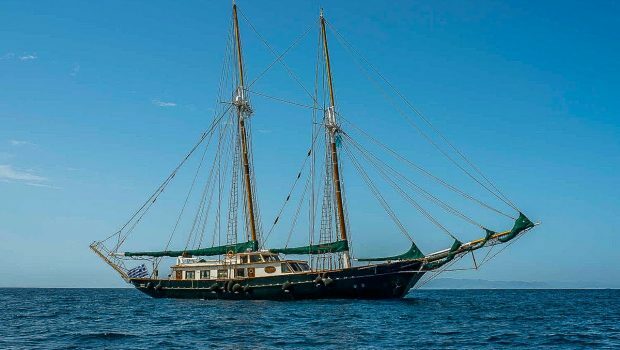 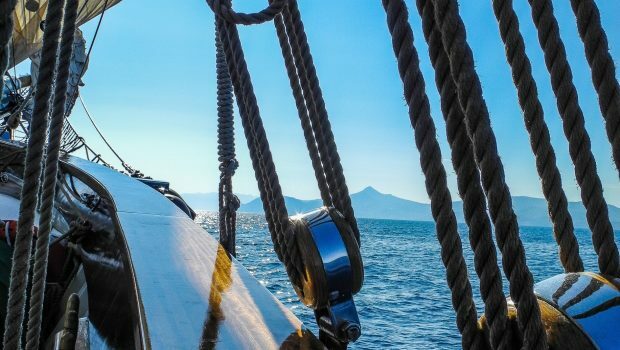 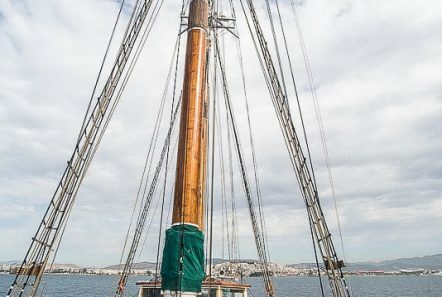 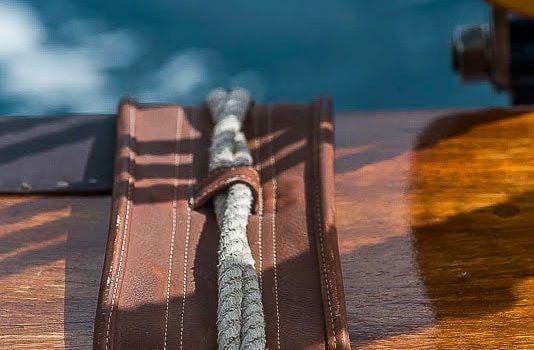 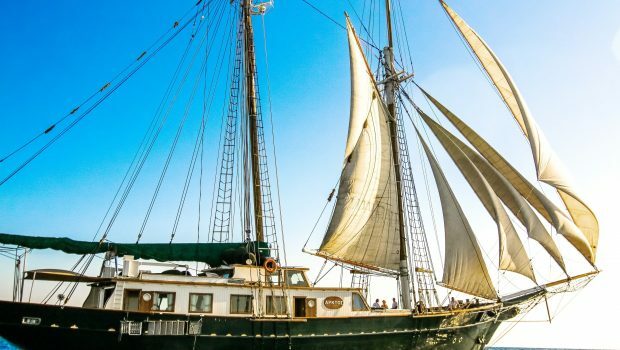 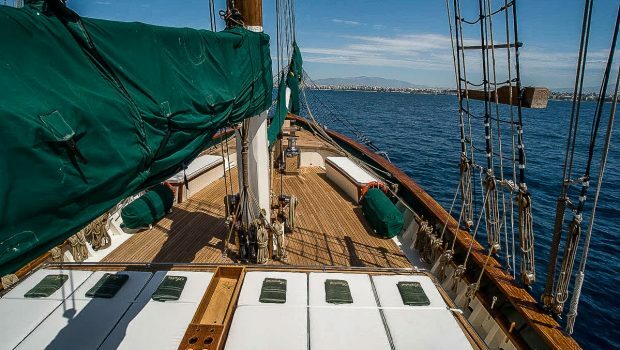 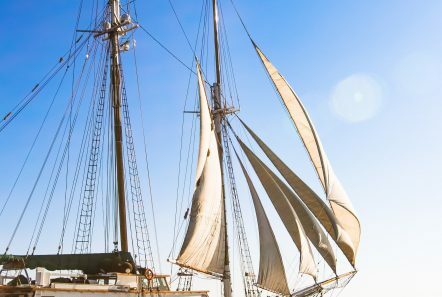 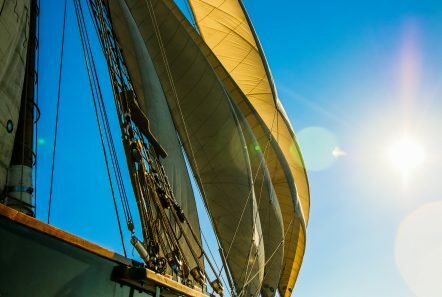 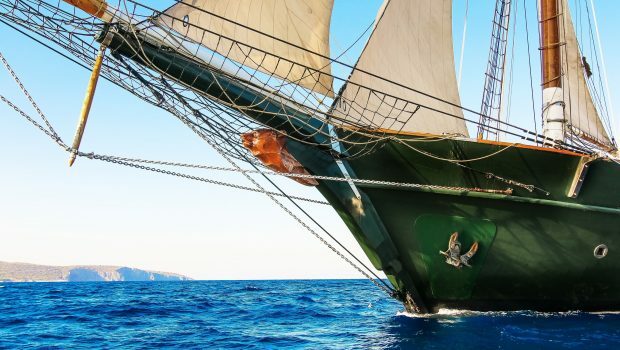 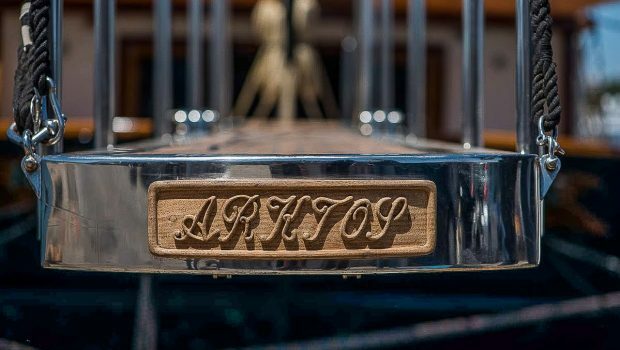 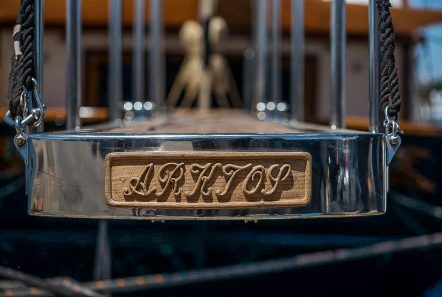 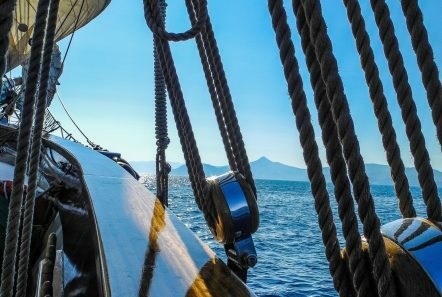 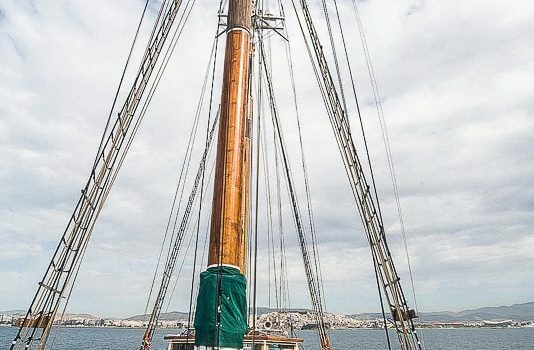 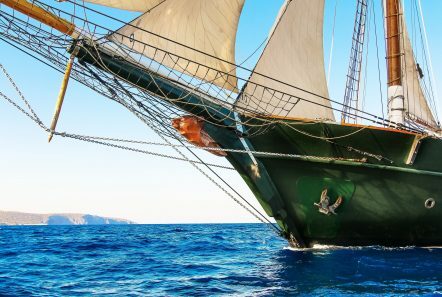 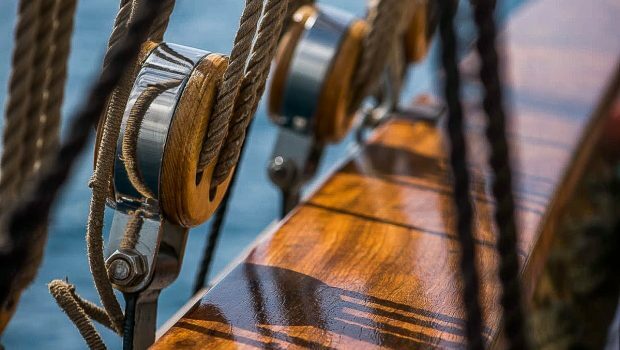 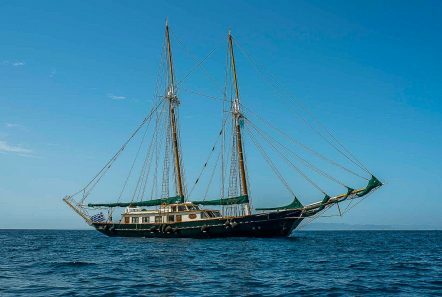 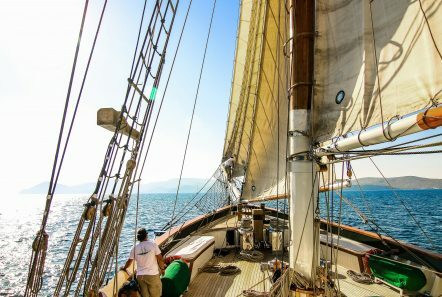 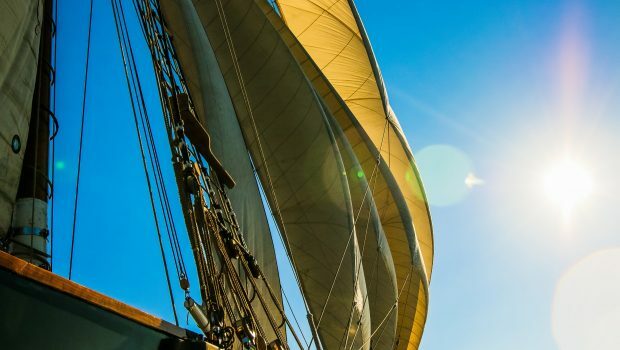 ARKTOS is a classic traditional schooner motor sailer of 152 feet in overall length. 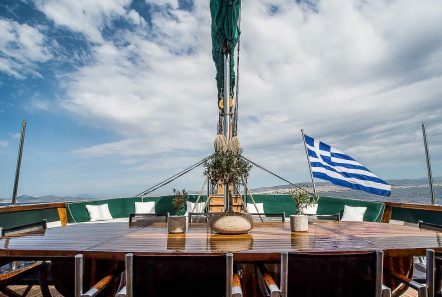 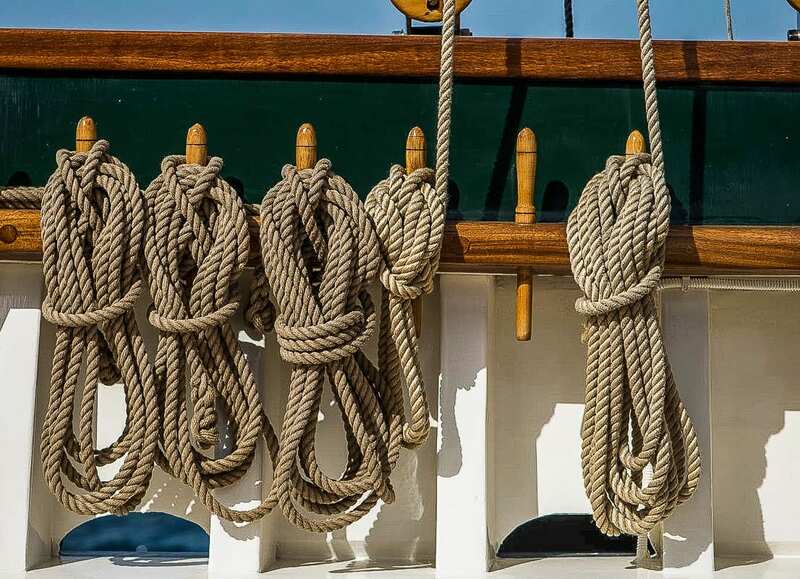 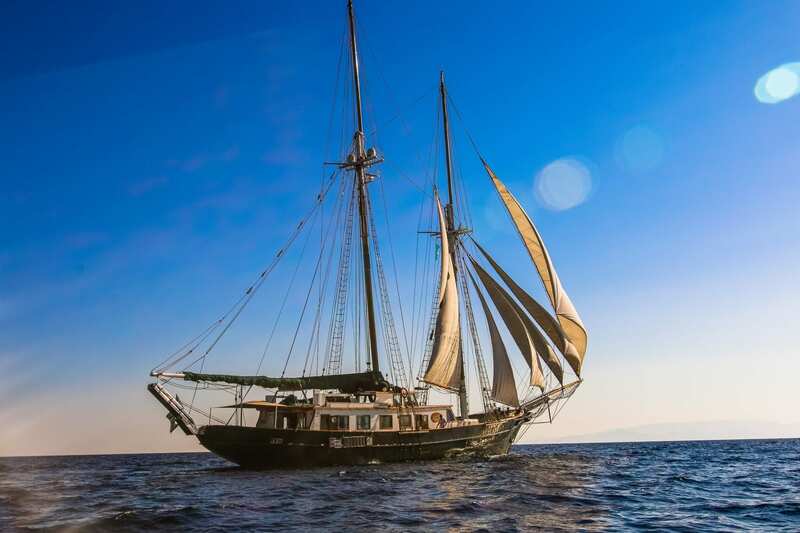 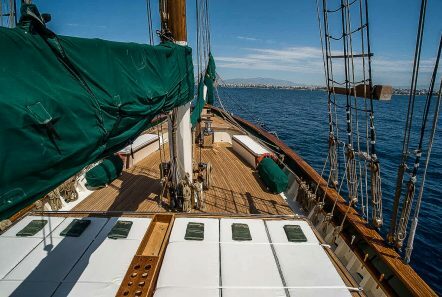 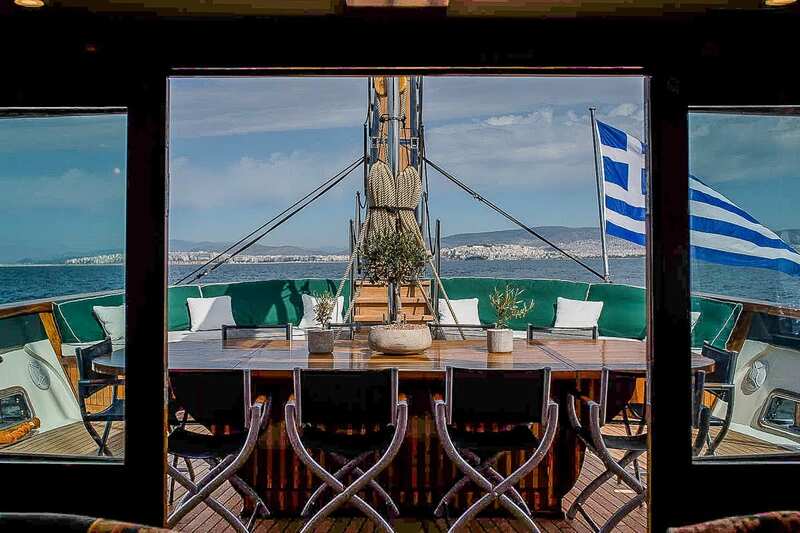 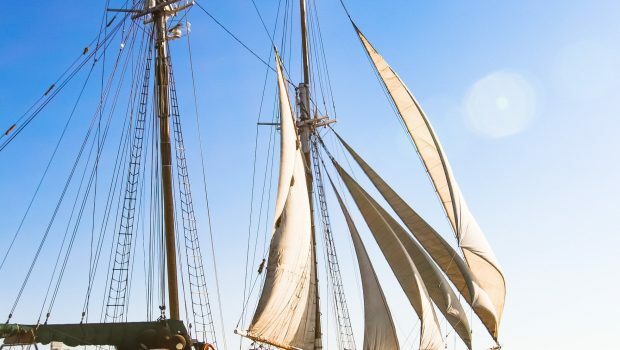 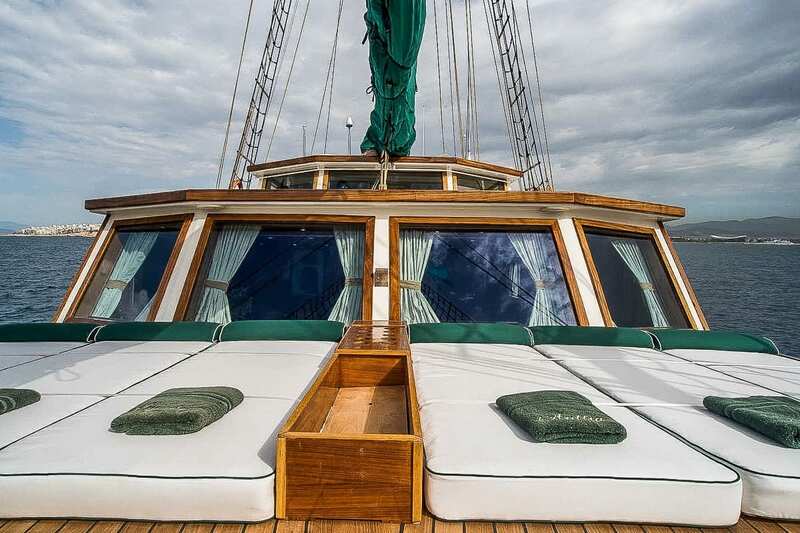 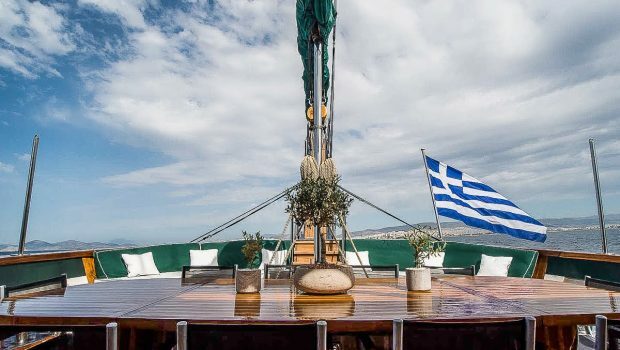 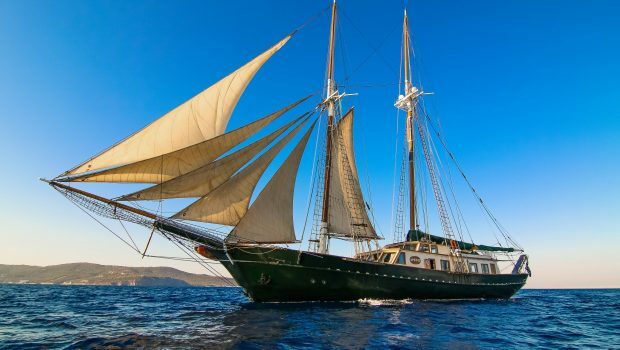 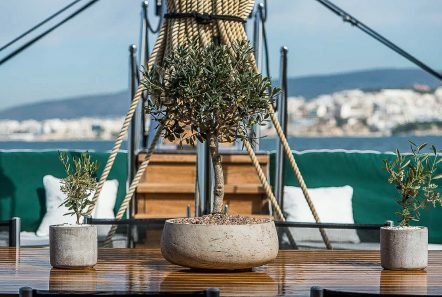 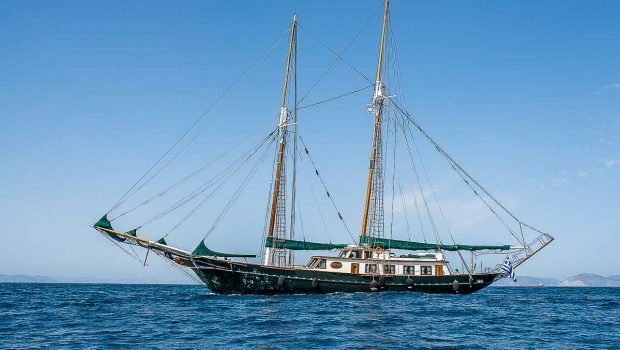 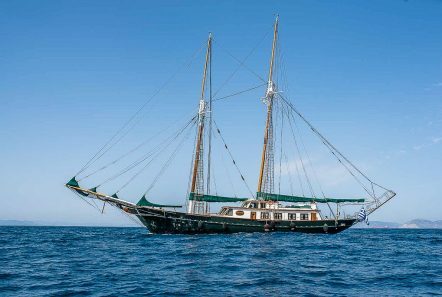 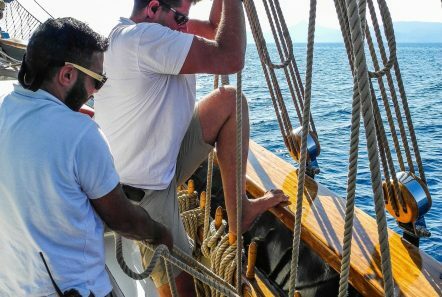 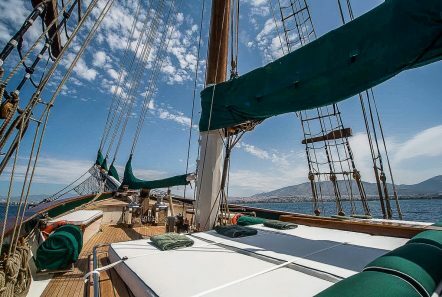 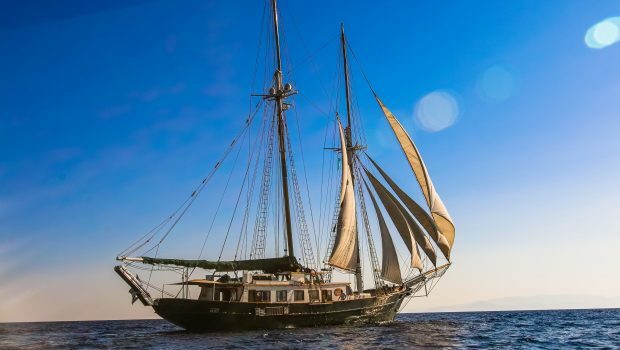 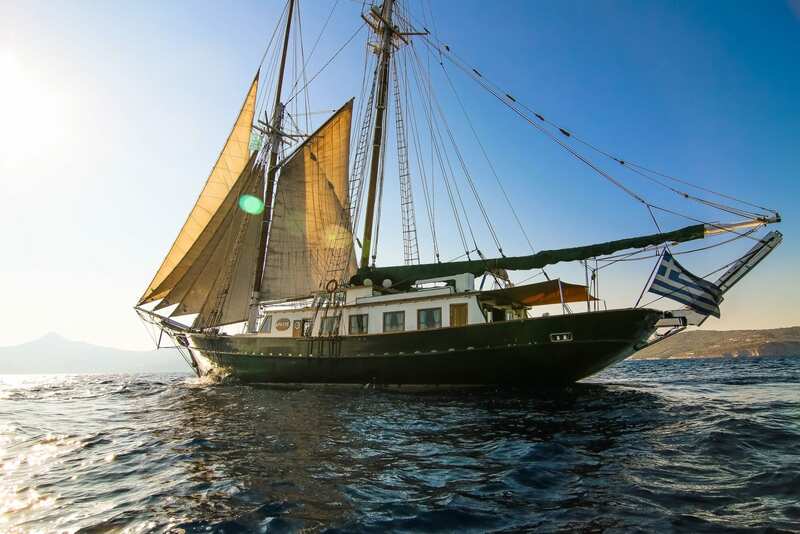 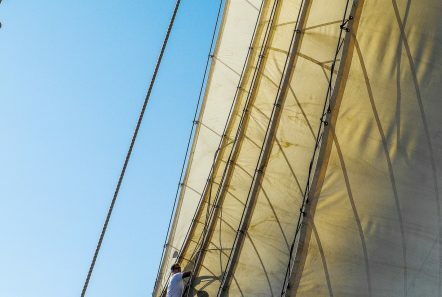 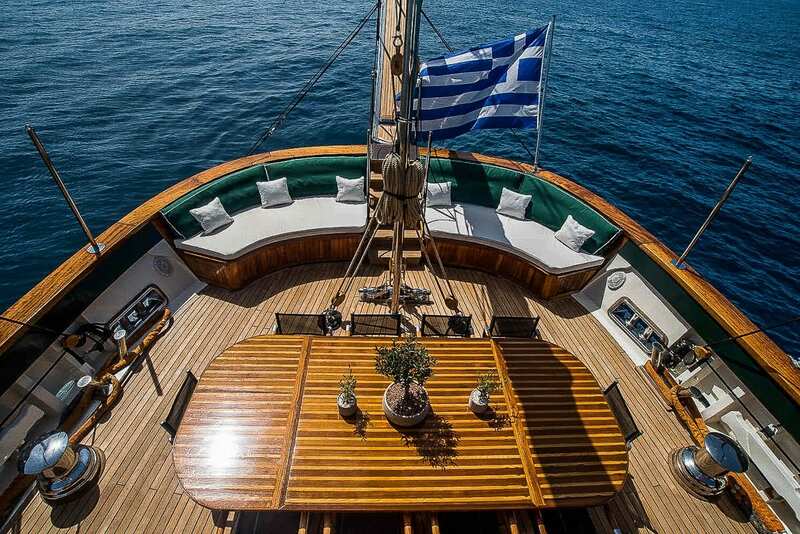 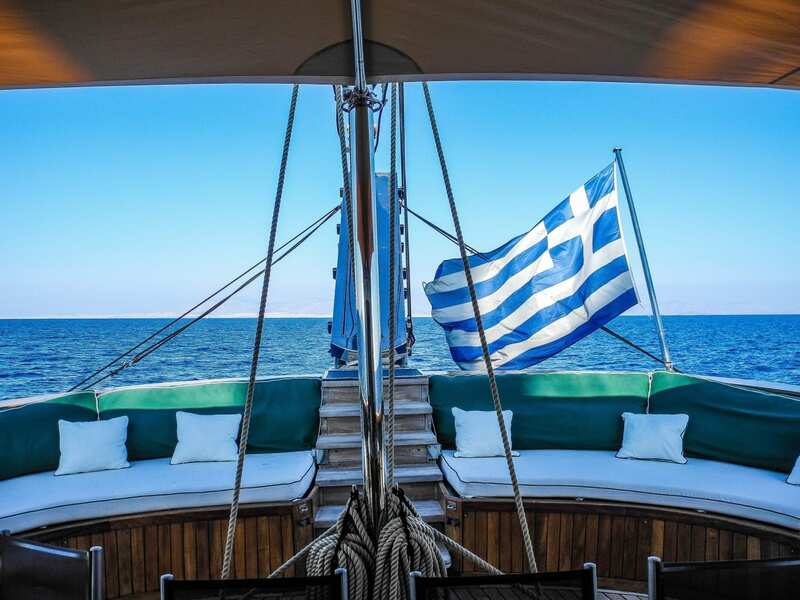 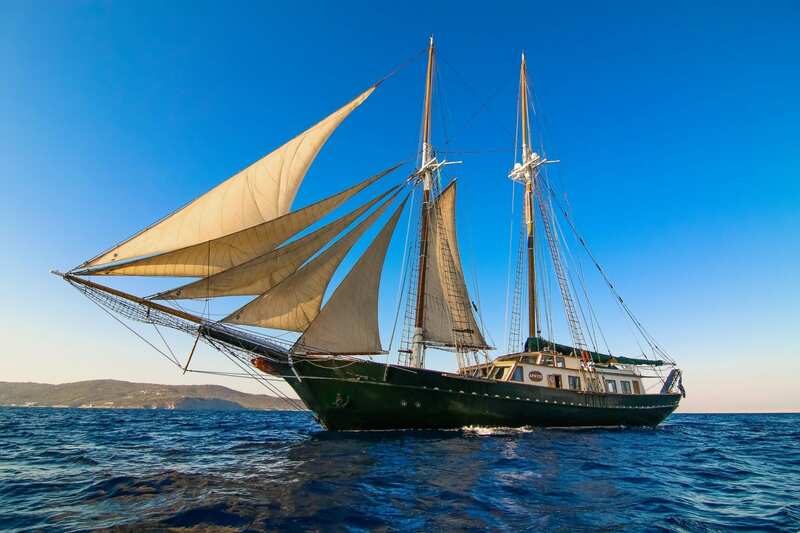 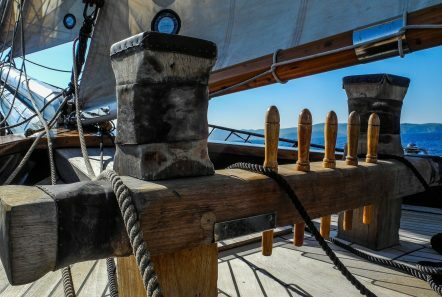 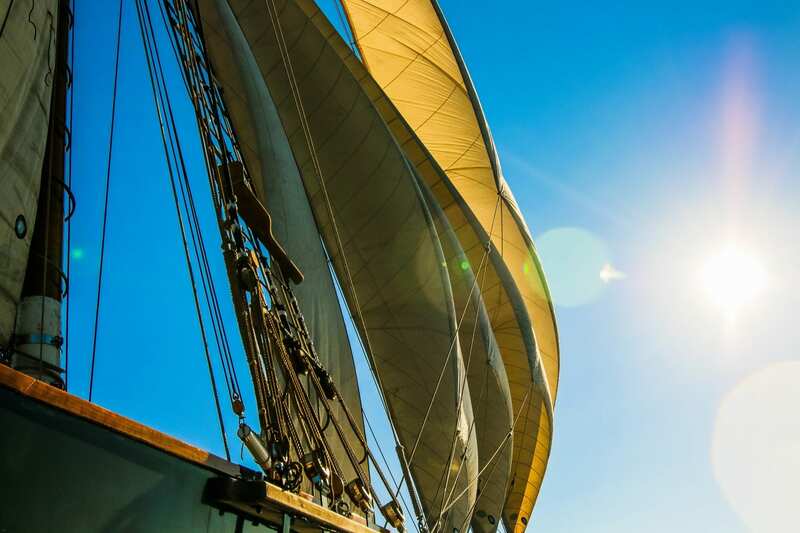 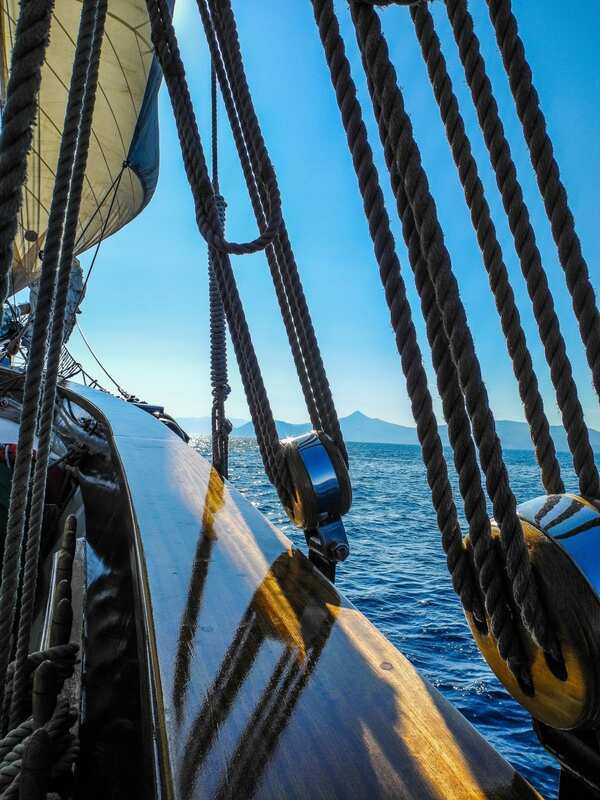 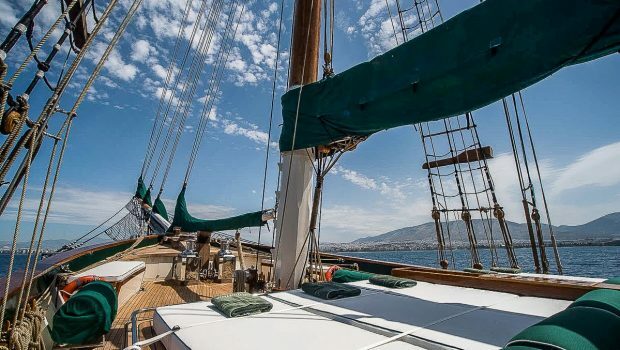 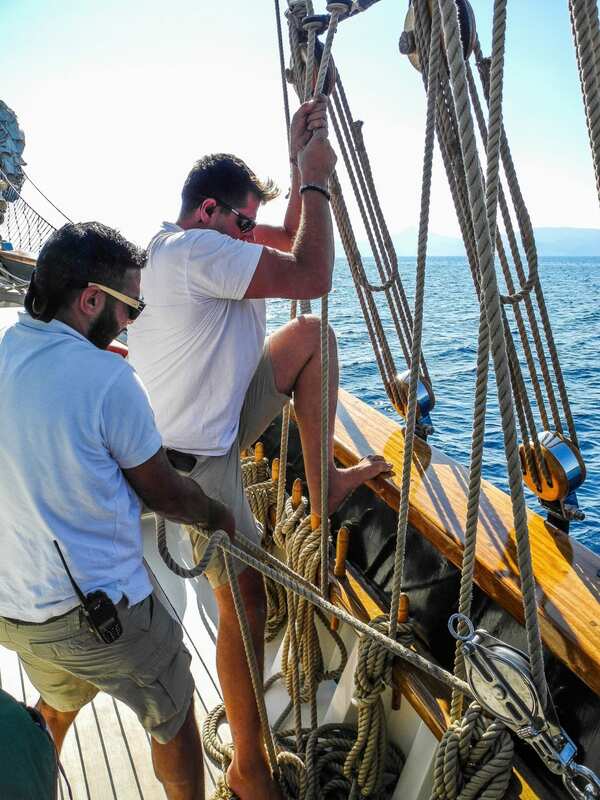 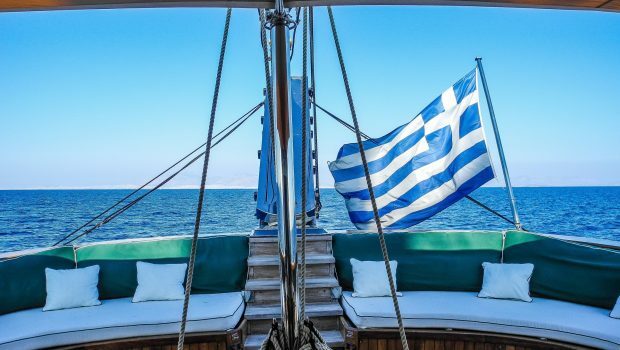 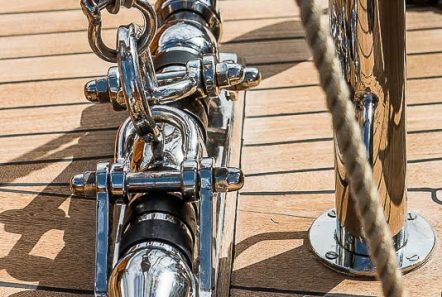 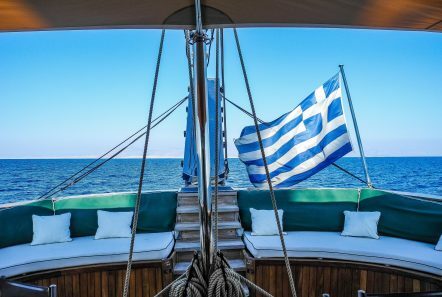 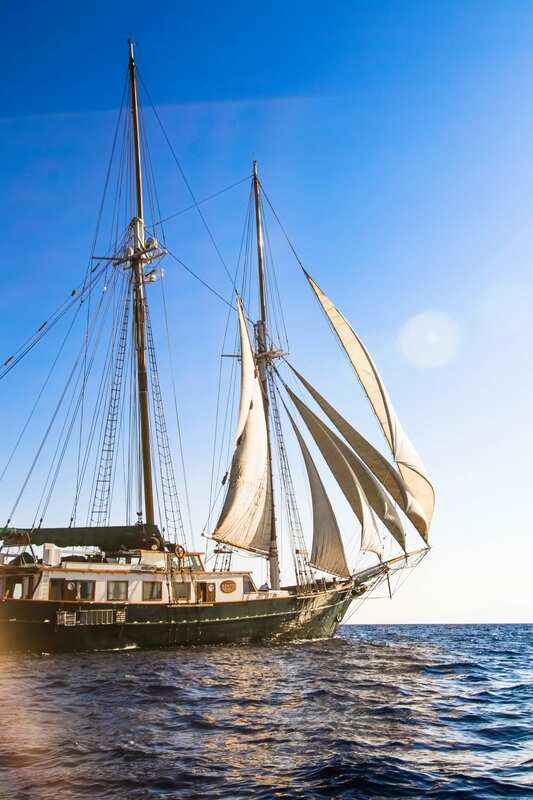 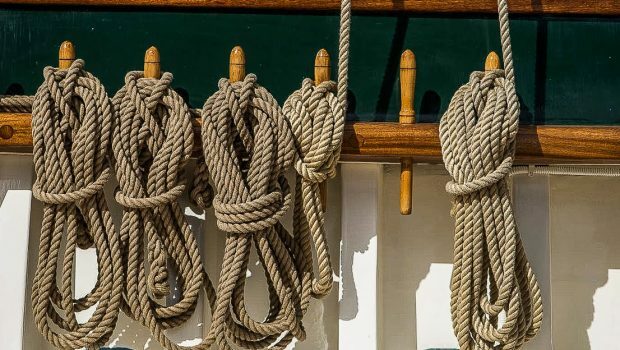 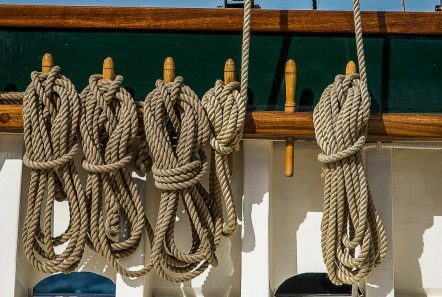 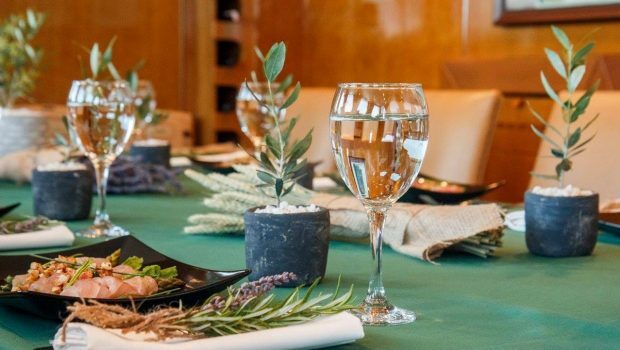 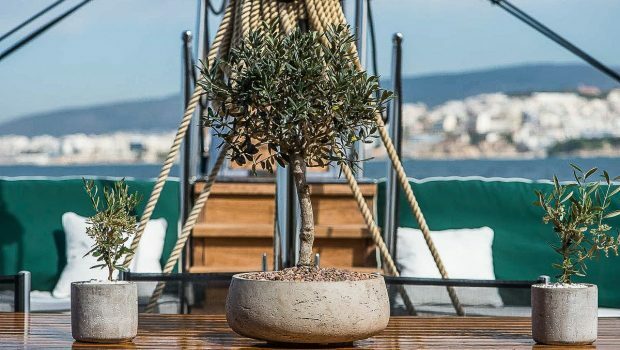 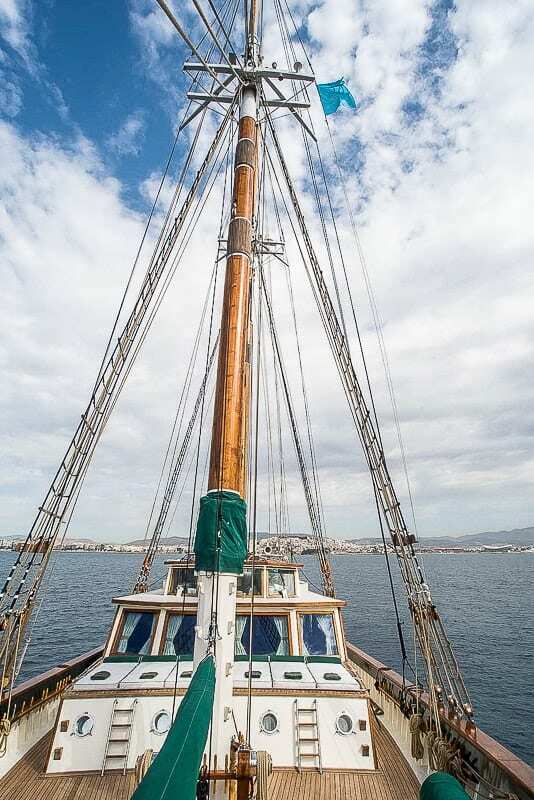 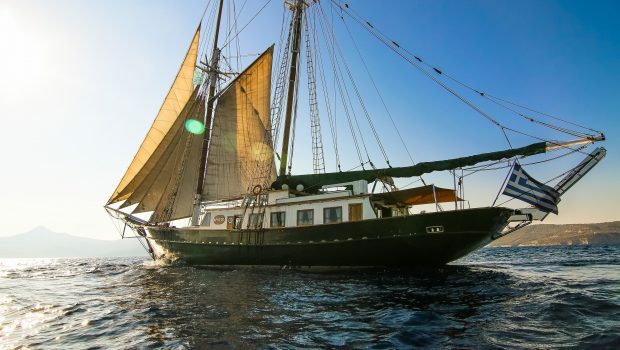 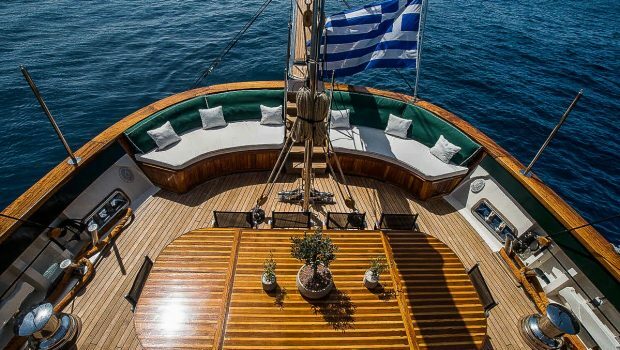 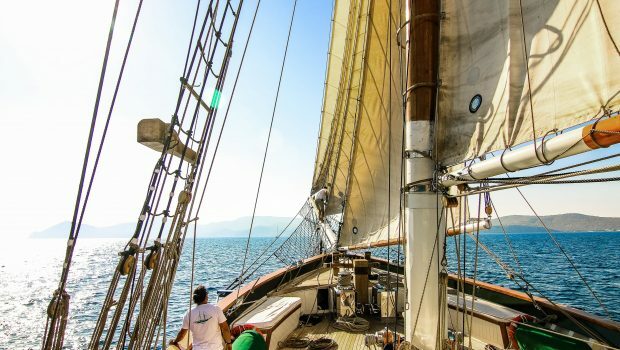 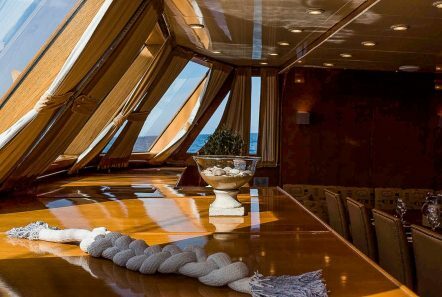 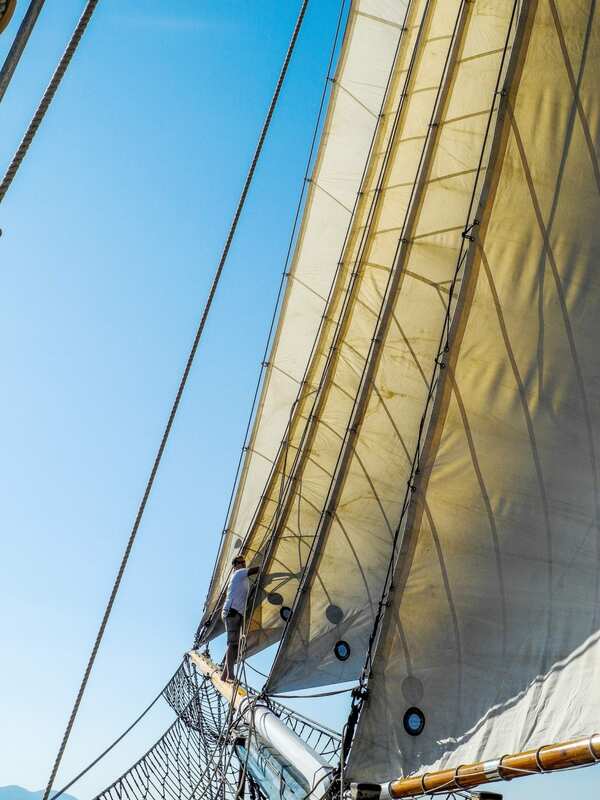 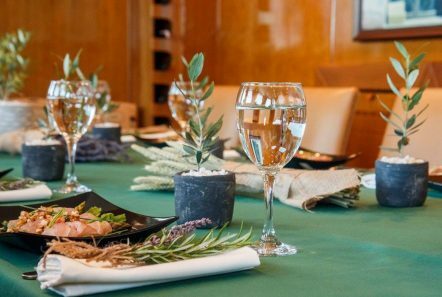 She has two masts that support over 840m2 of sail, which are used daily if the guest enjoys! 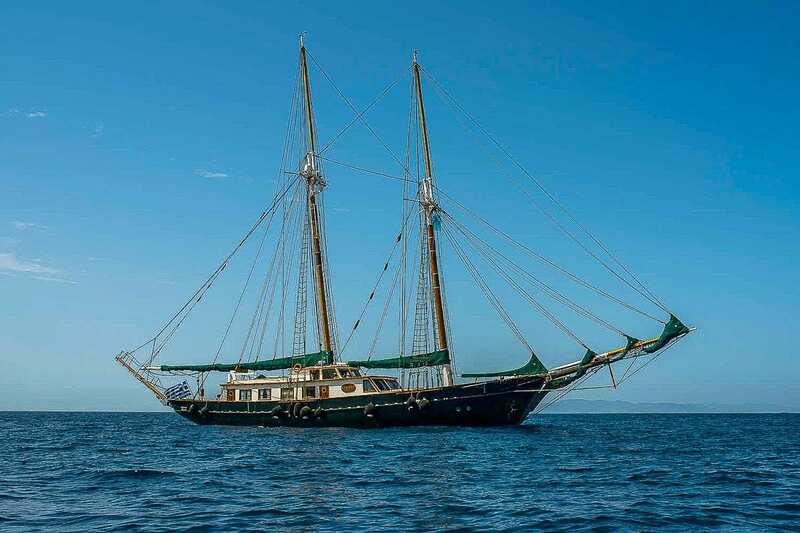 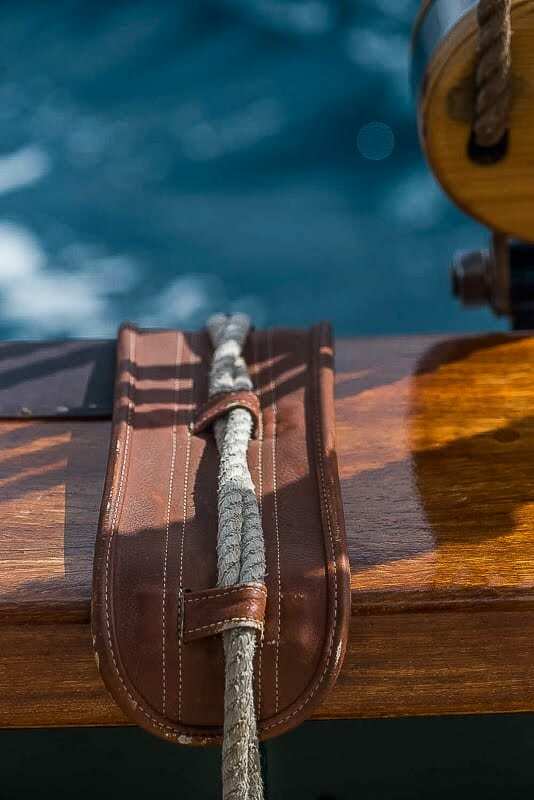 She is fully equipped with all the modern day communication and navigation equipment including Internet. 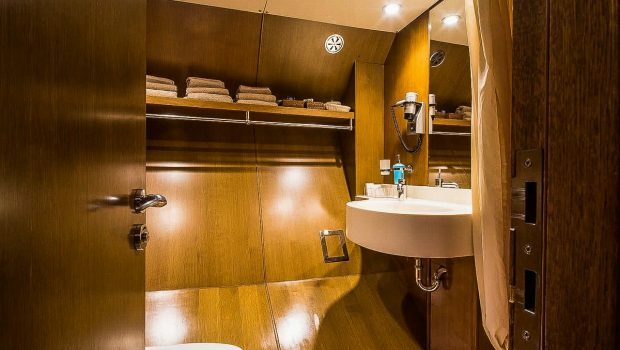 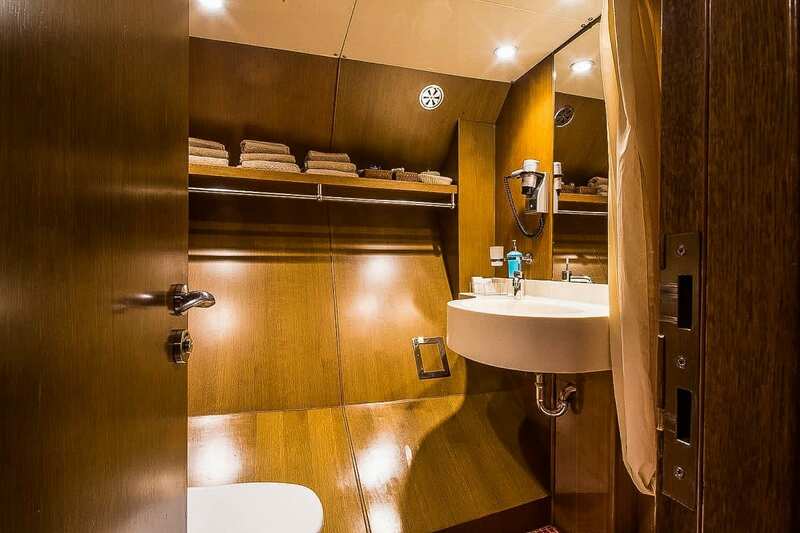 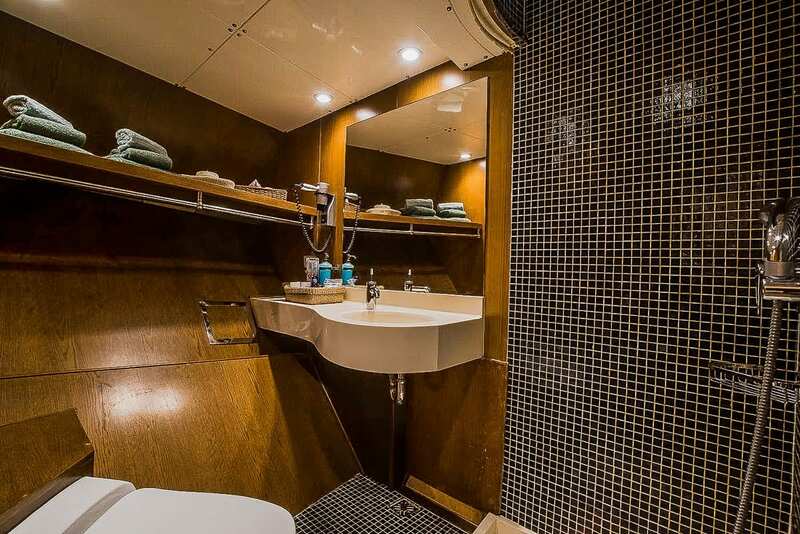 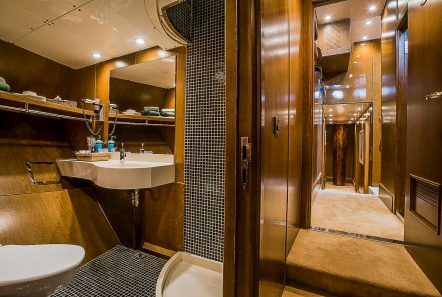 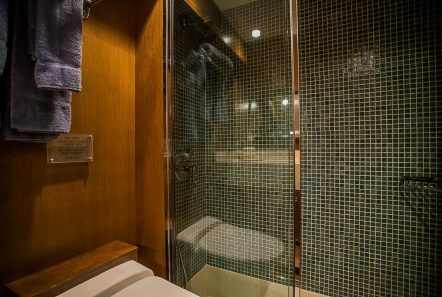 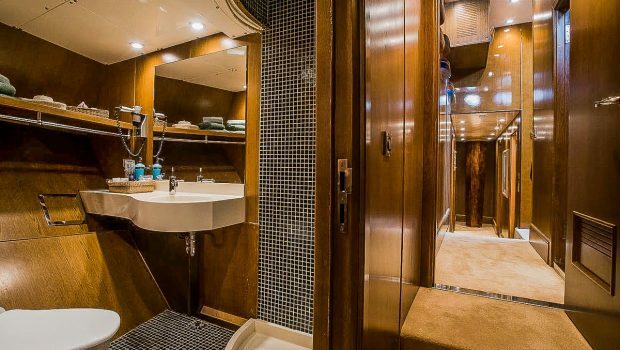 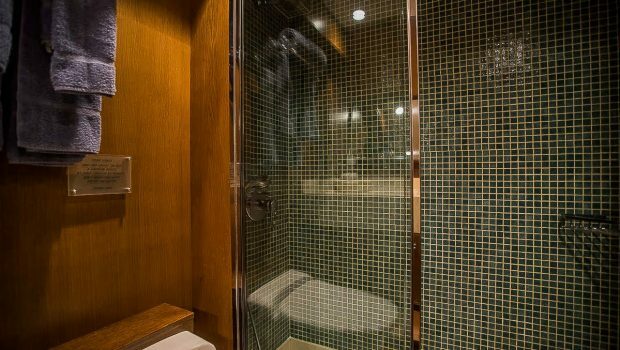 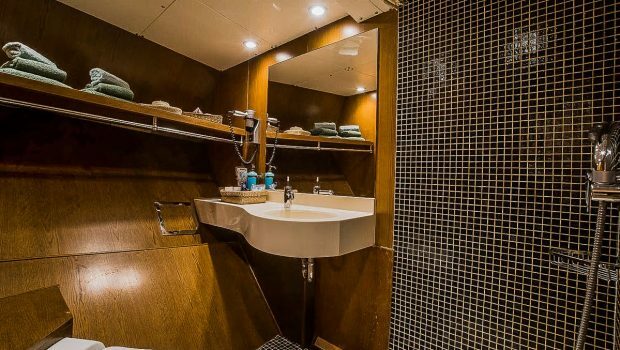 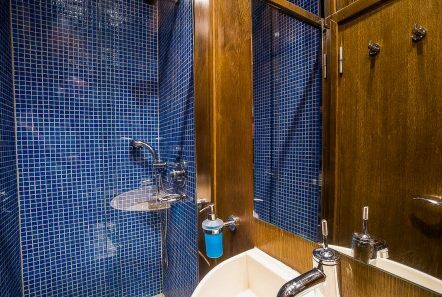 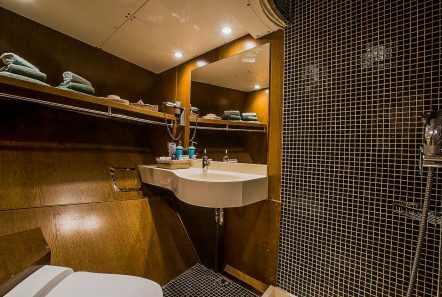 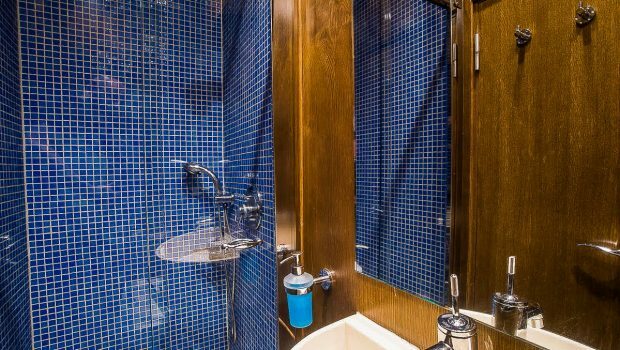 She accommodates from ten to eleven passengers in five cabins with en suite baths. 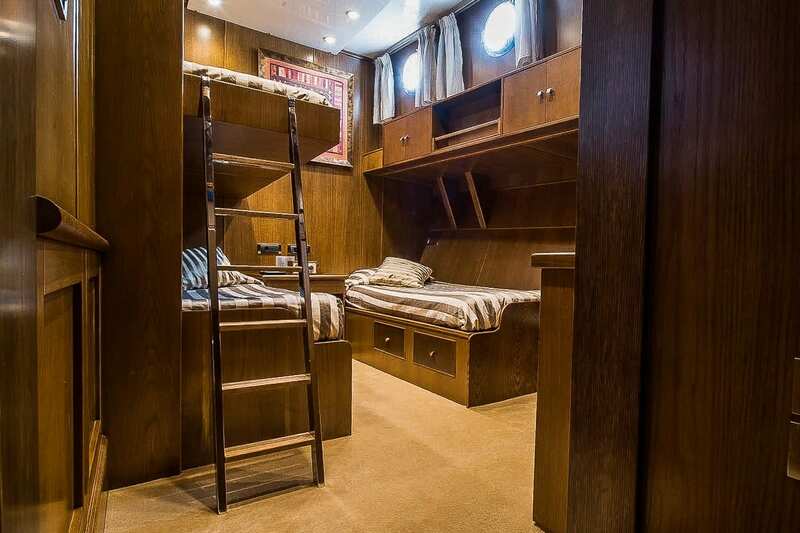 There are three double cabins, one twin cabin (which can convert to a Double bed!) 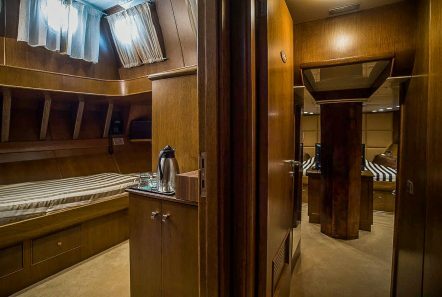 and one twin cabin with a Pullman berth. 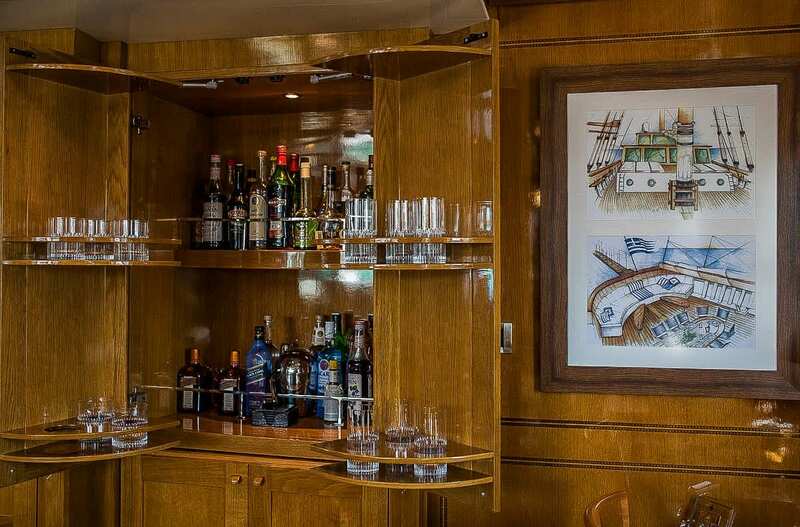 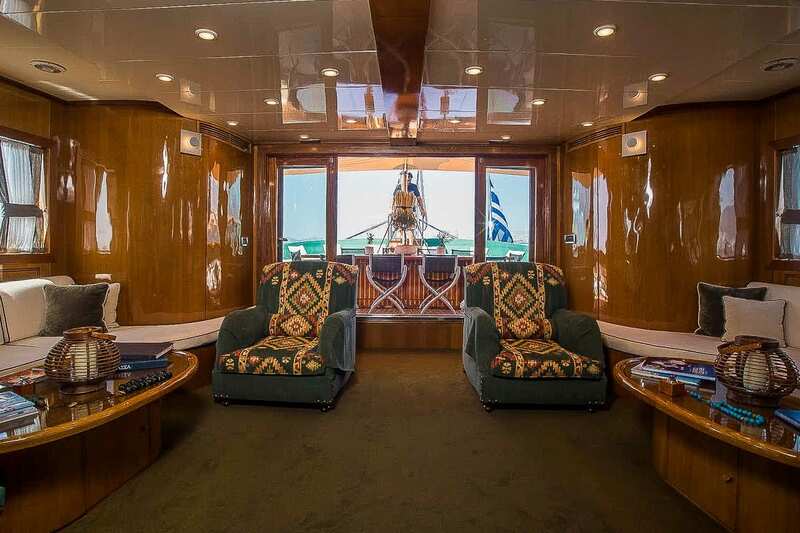 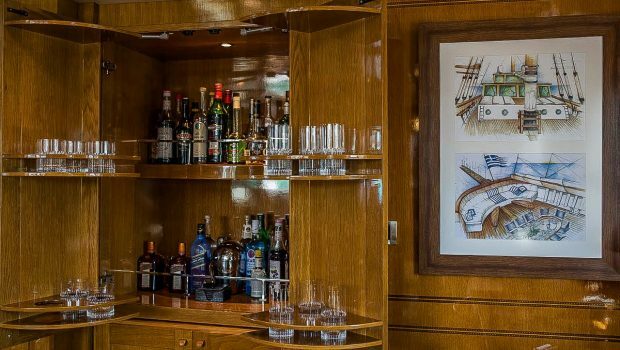 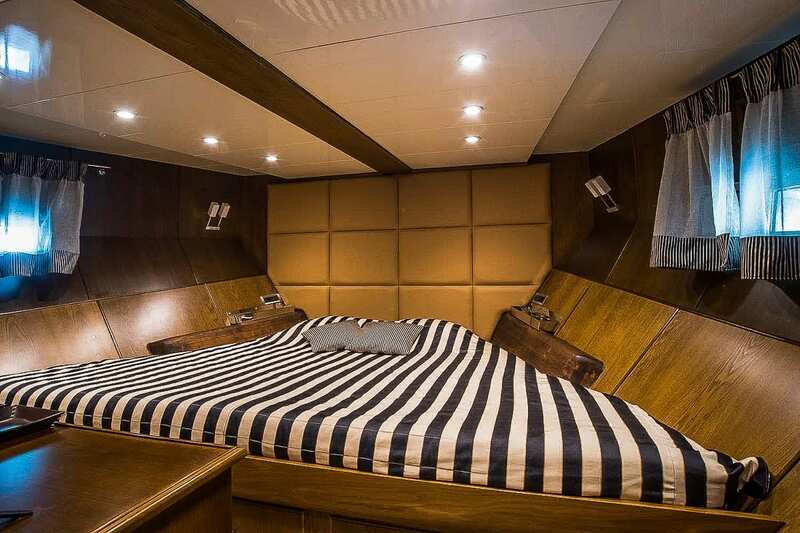 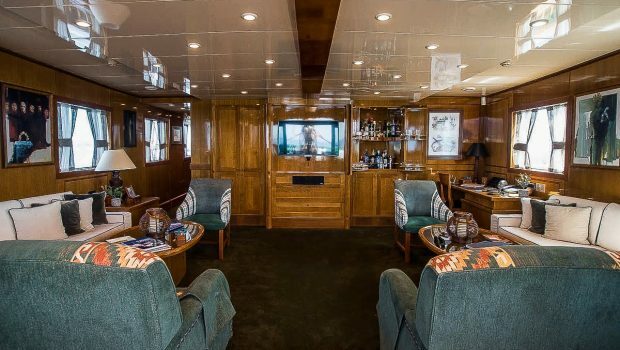 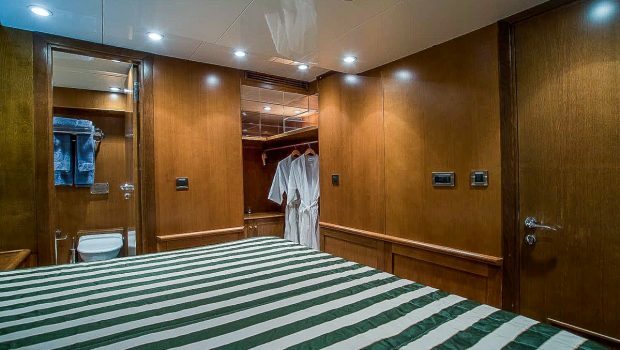 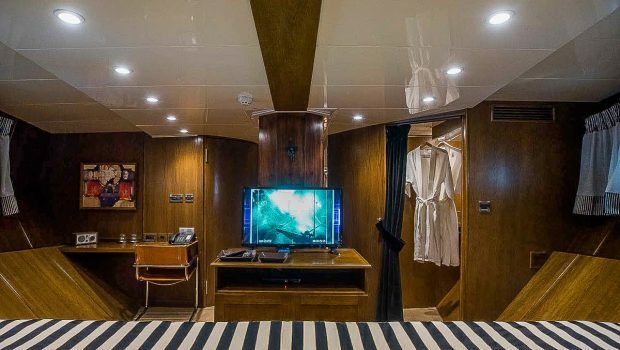 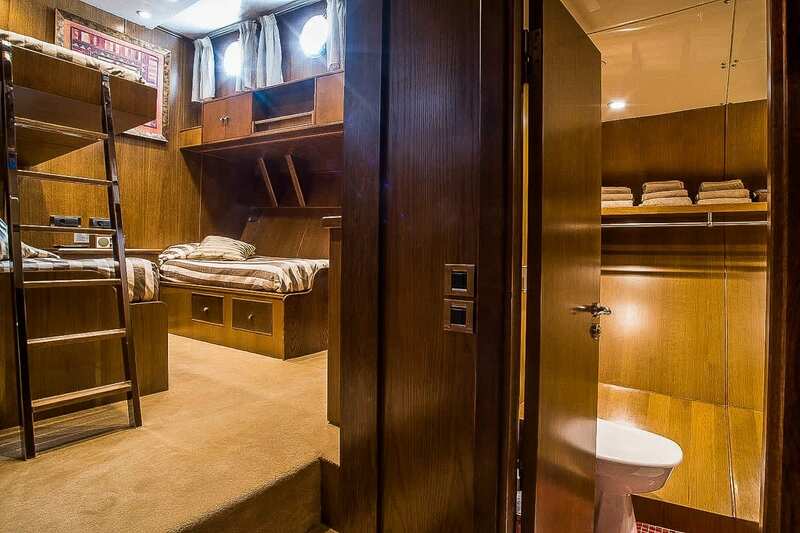 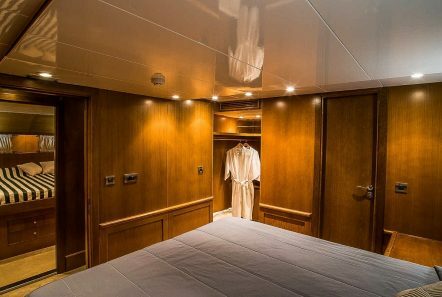 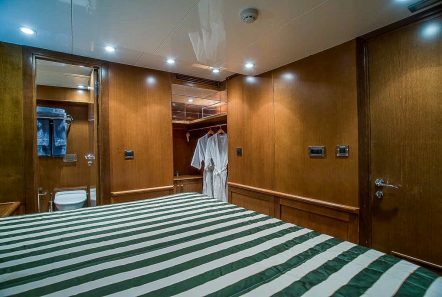 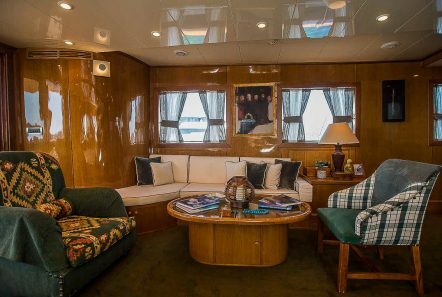 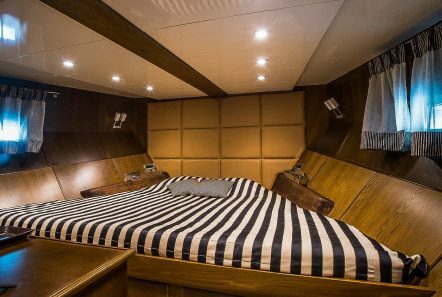 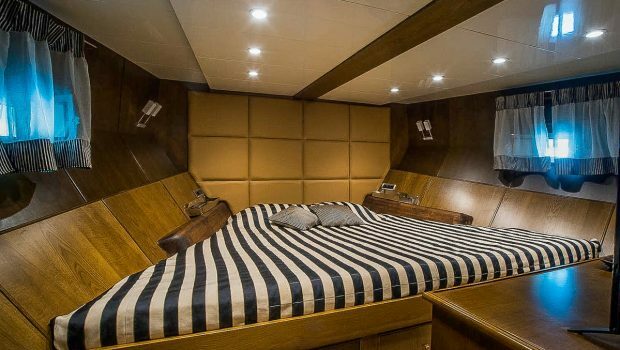 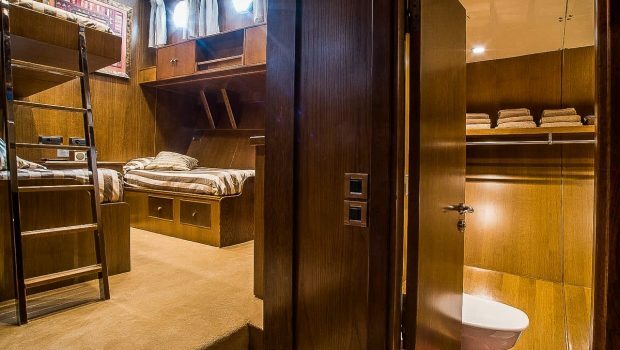 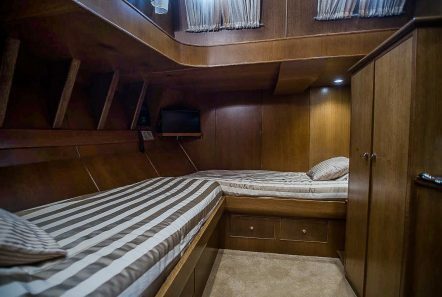 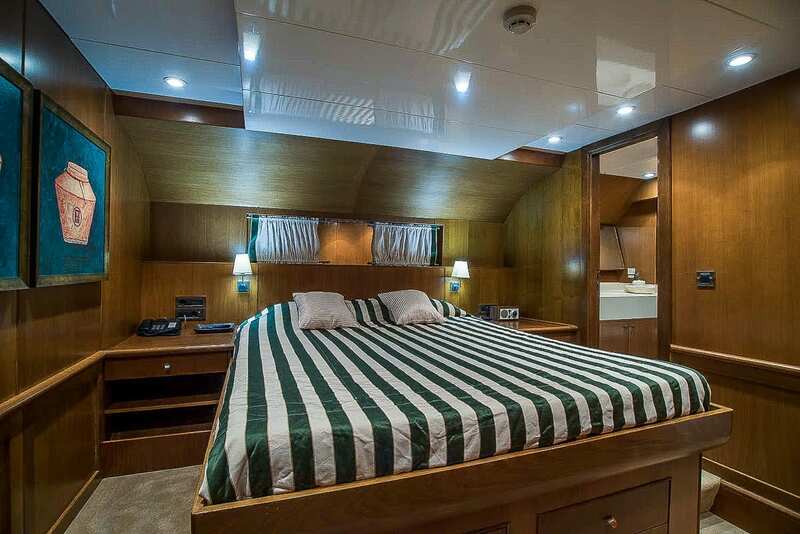 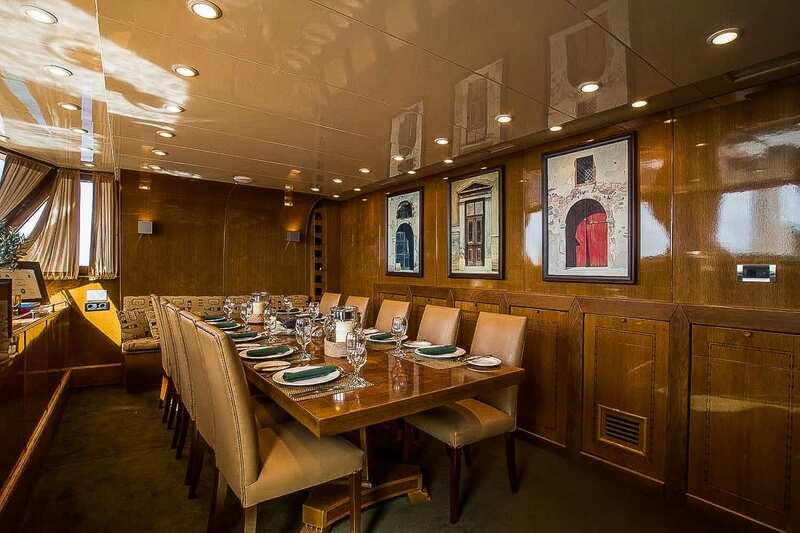 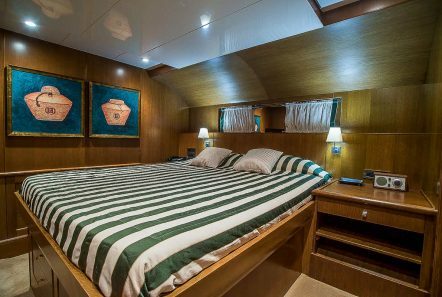 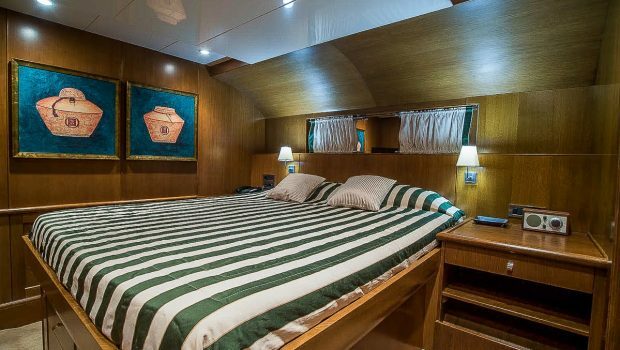 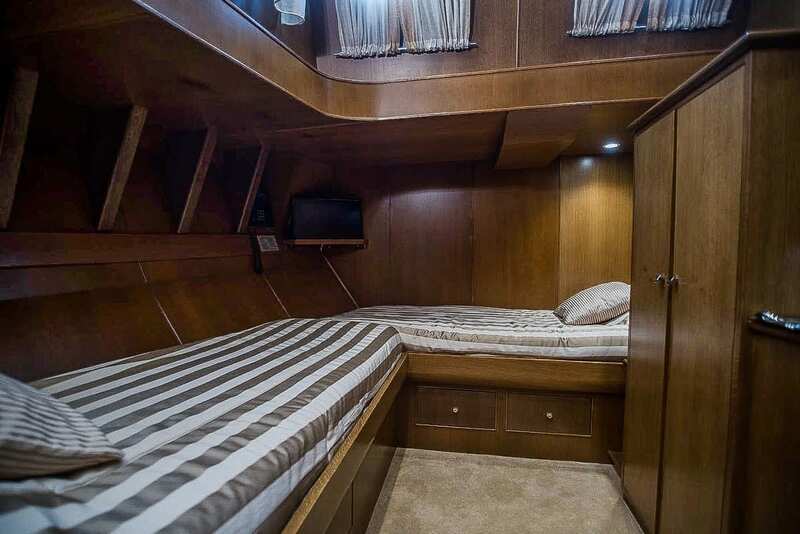 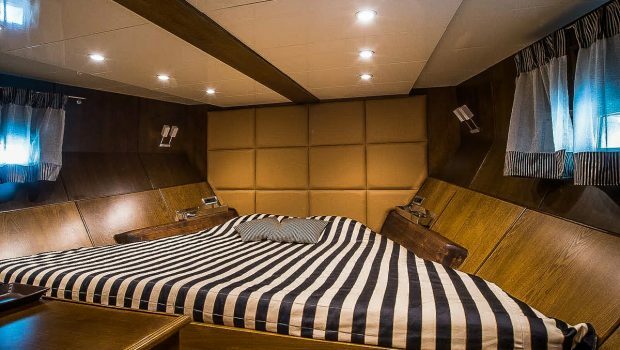 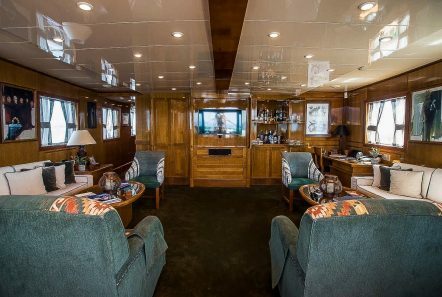 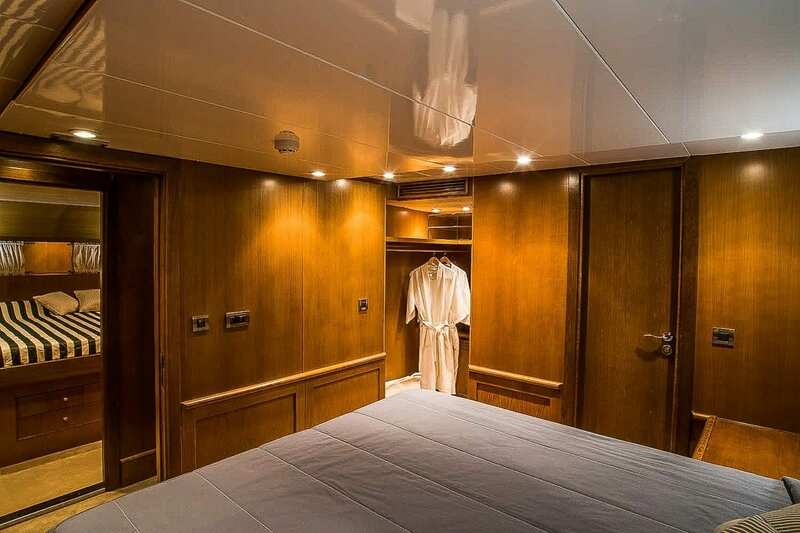 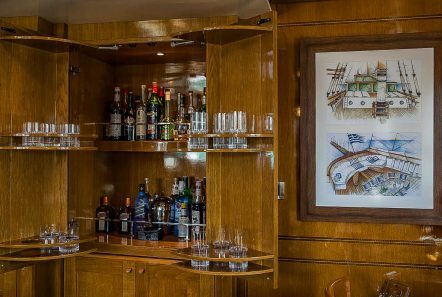 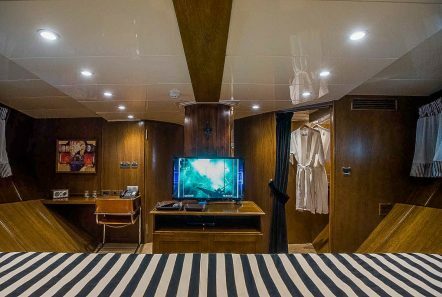 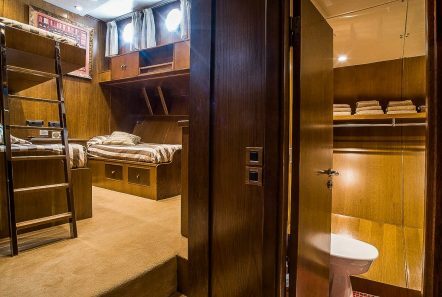 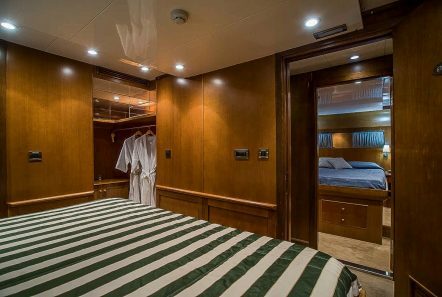 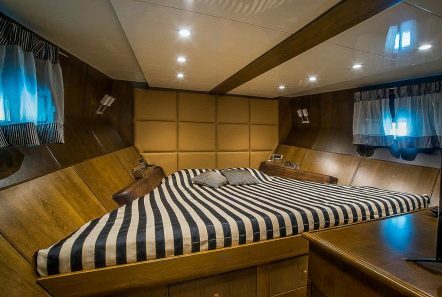 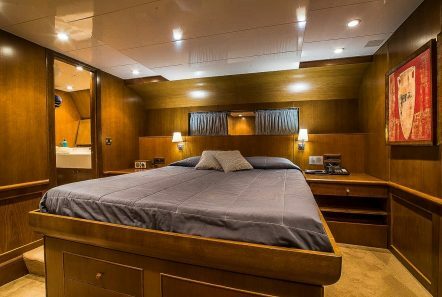 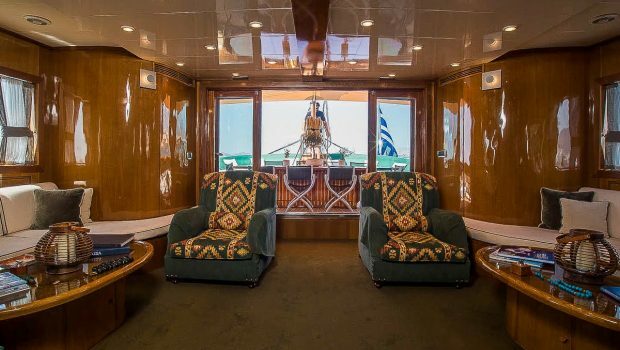 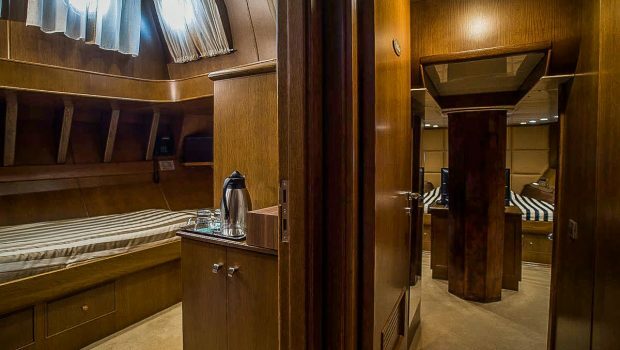 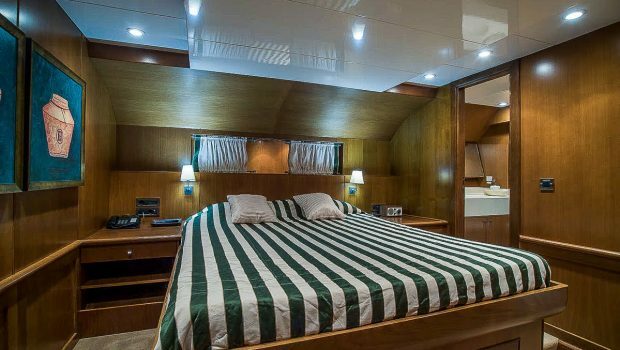 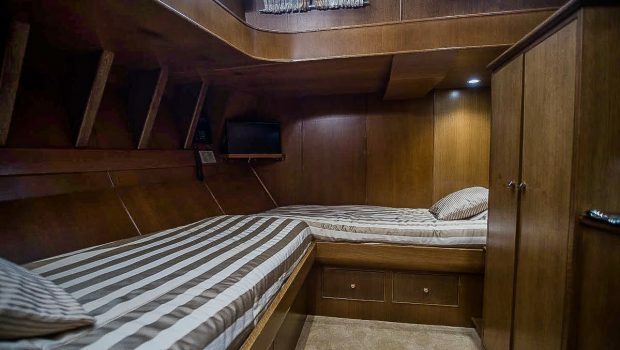 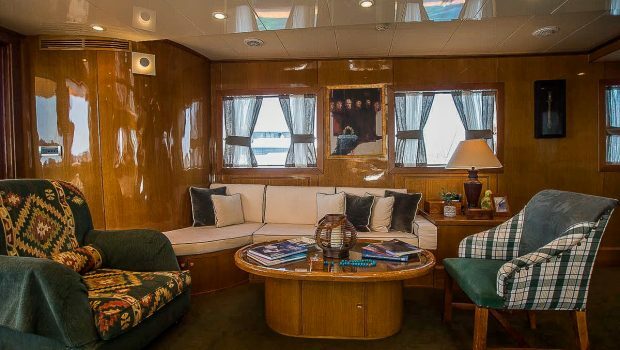 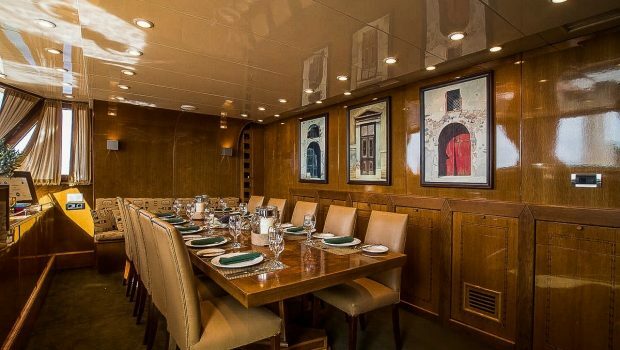 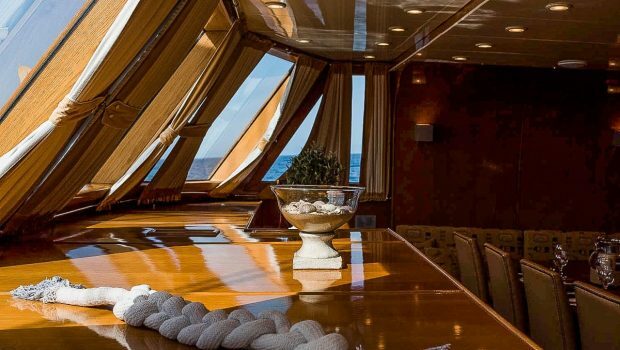 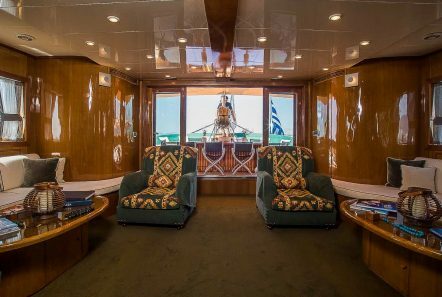 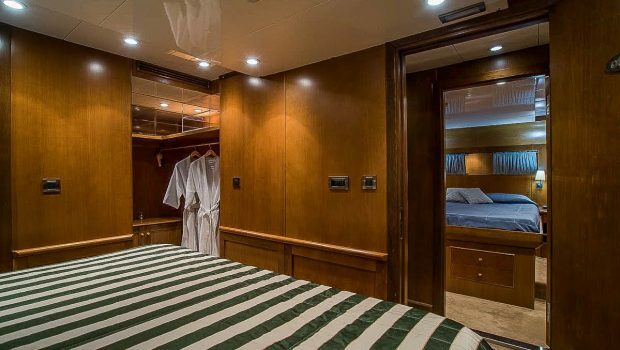 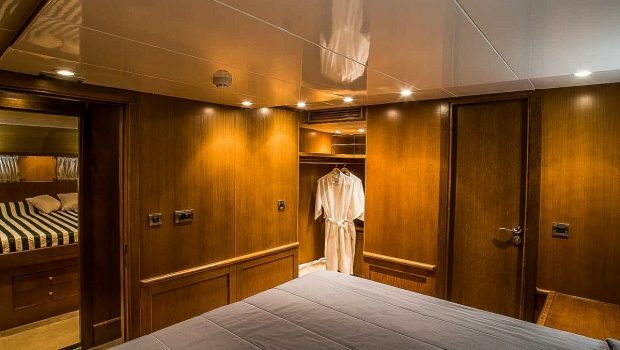 The Master suite is the full width of the yacht, and has a walk-in closet and a writing desk. 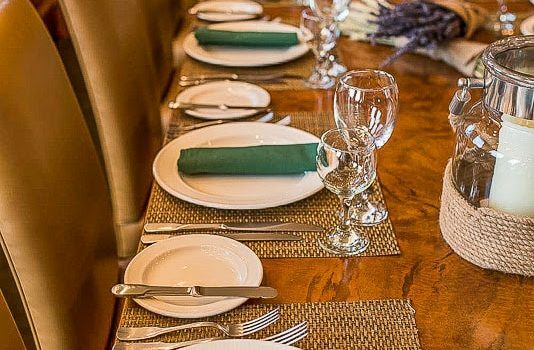 All staterooms have LCD/DVD and safe and four cabins have mini-fridges. 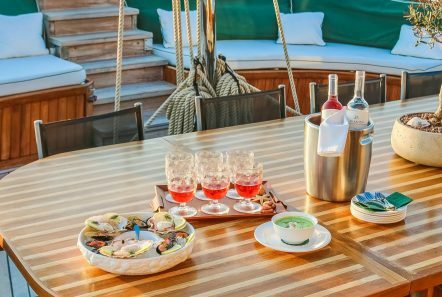 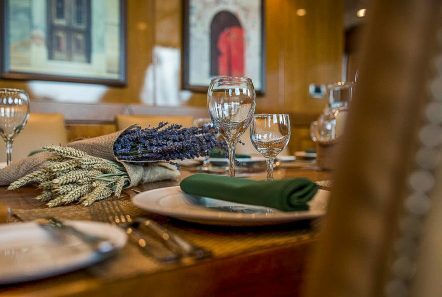 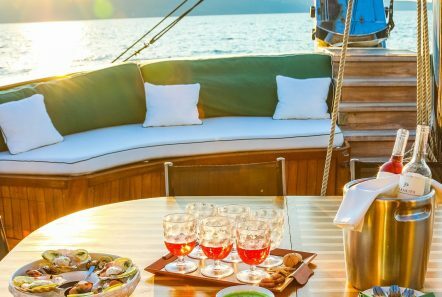 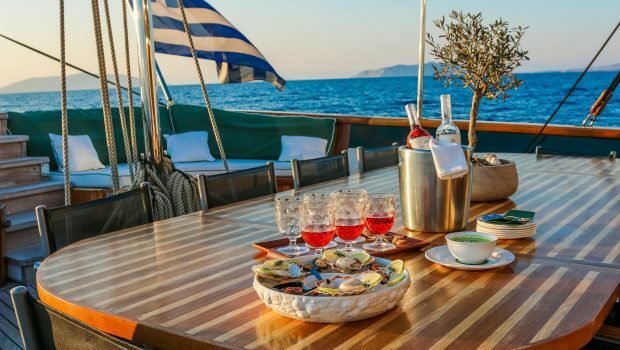 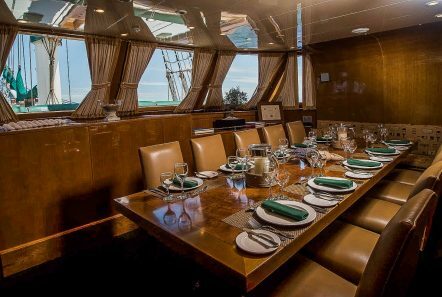 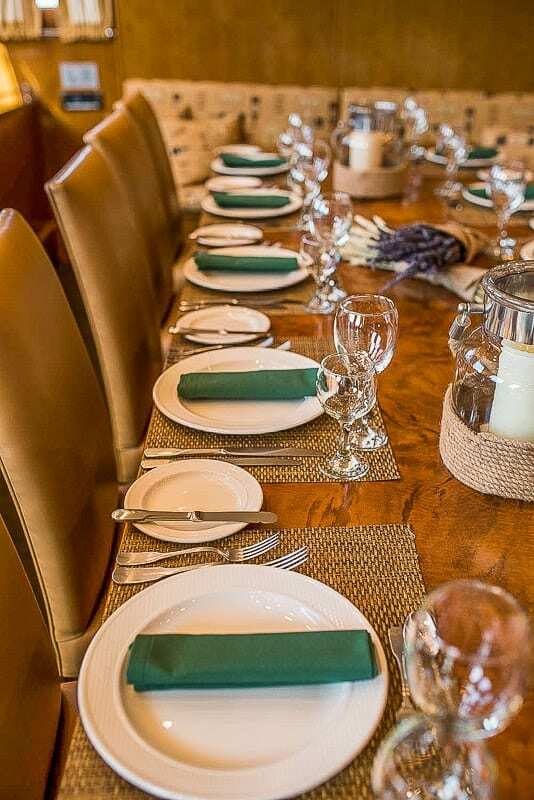 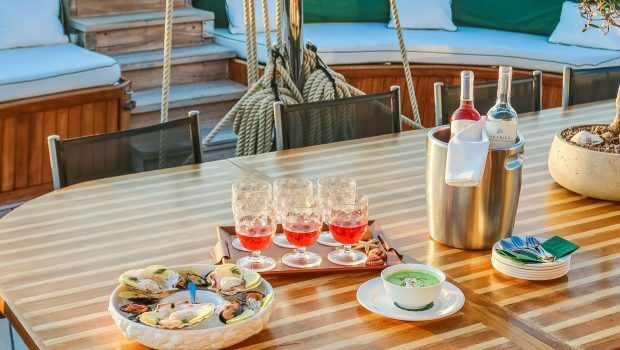 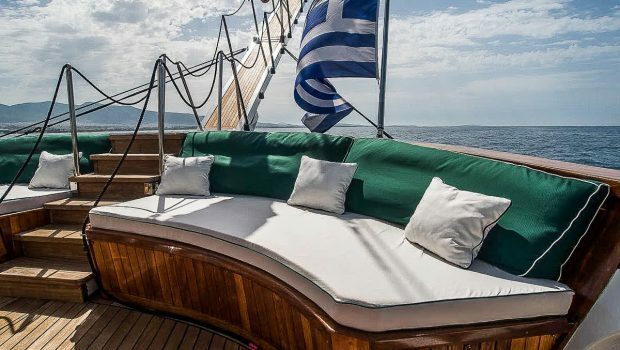 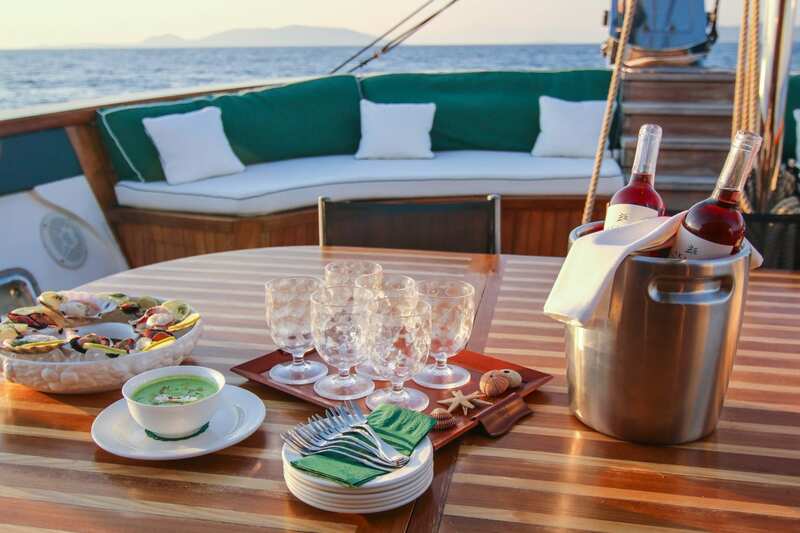 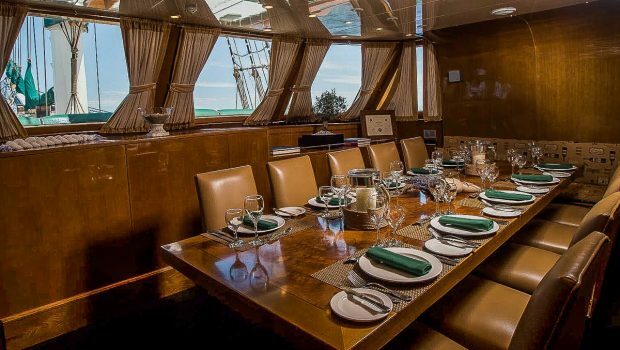 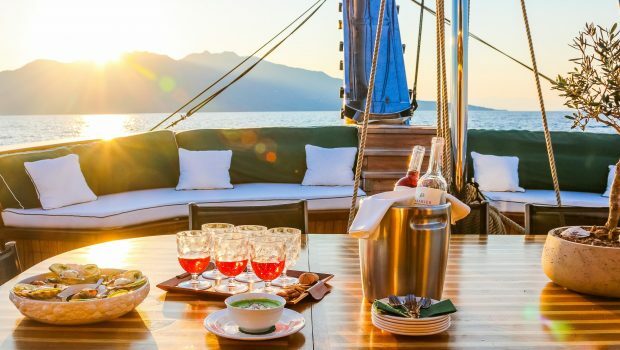 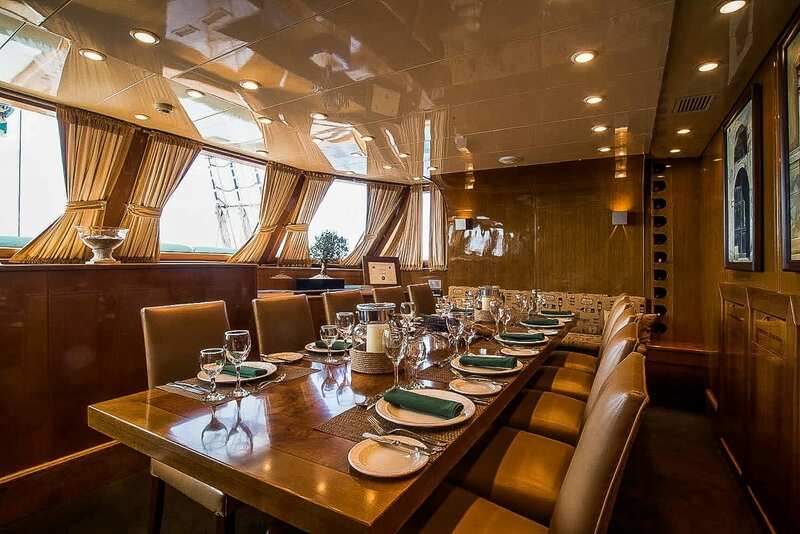 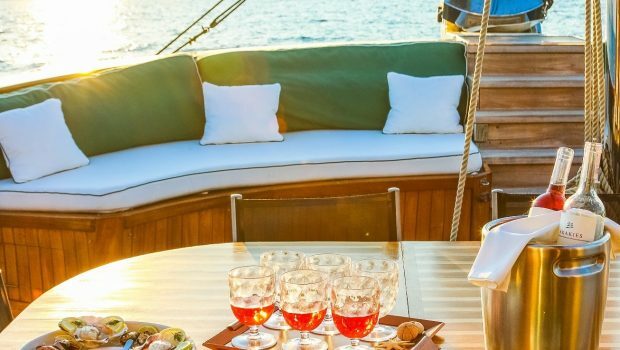 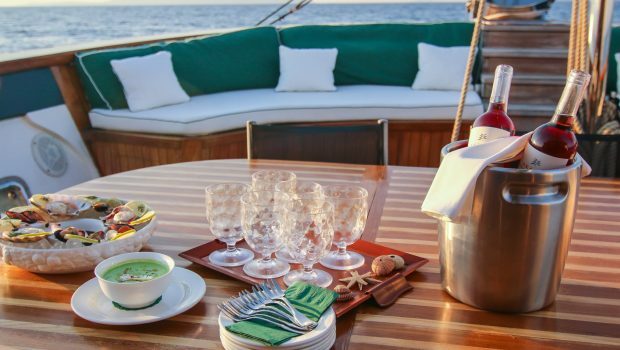 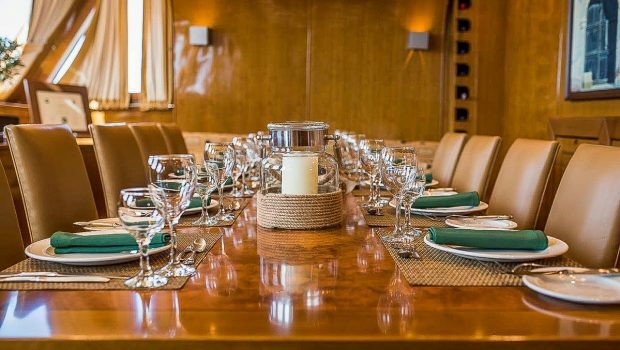 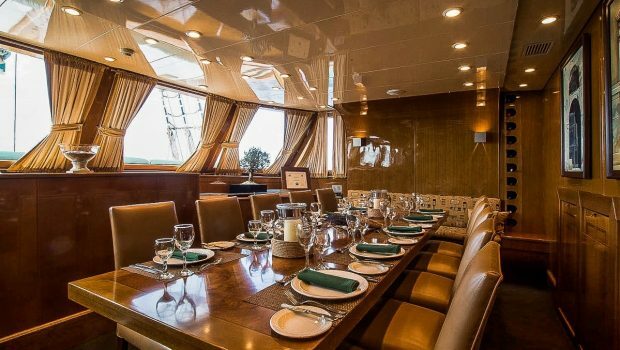 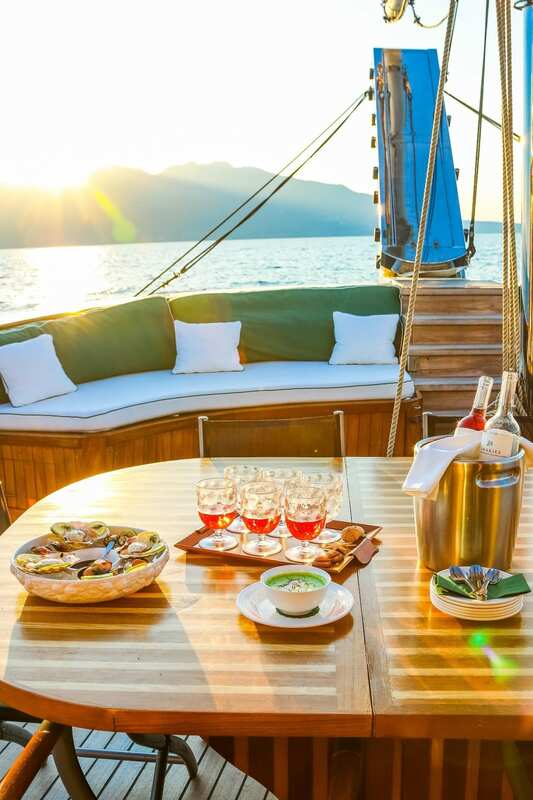 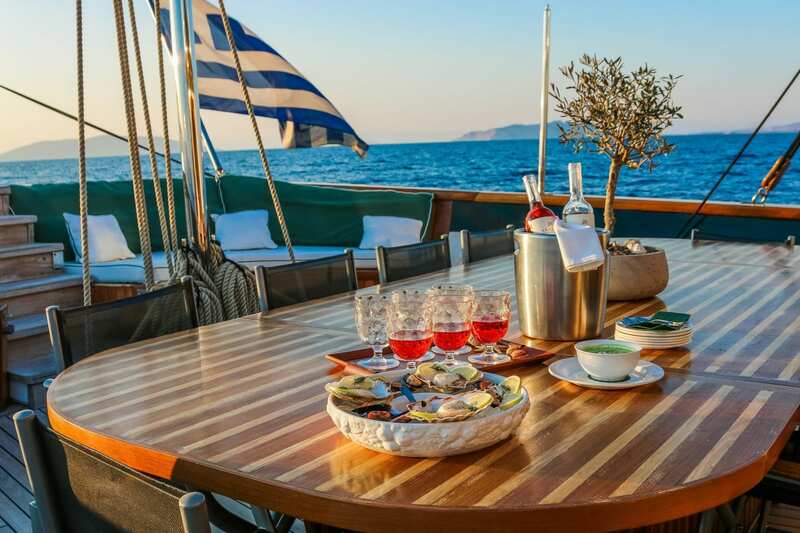 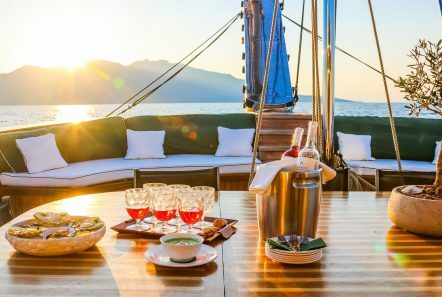 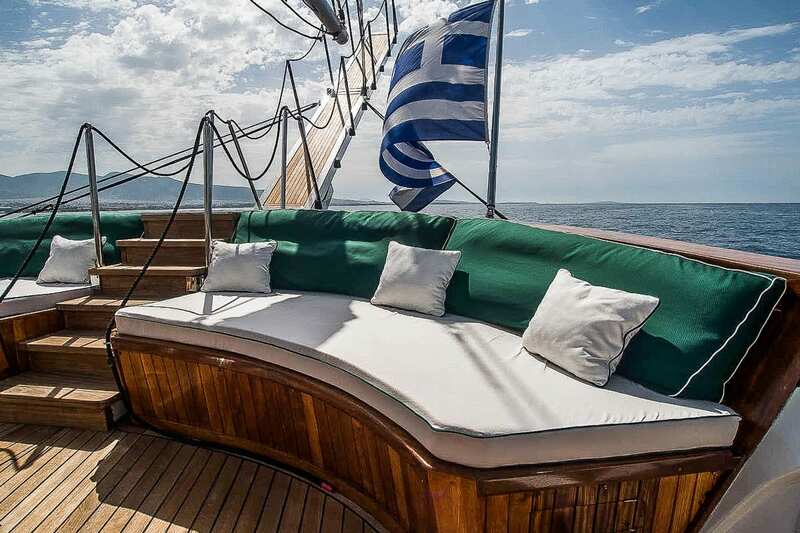 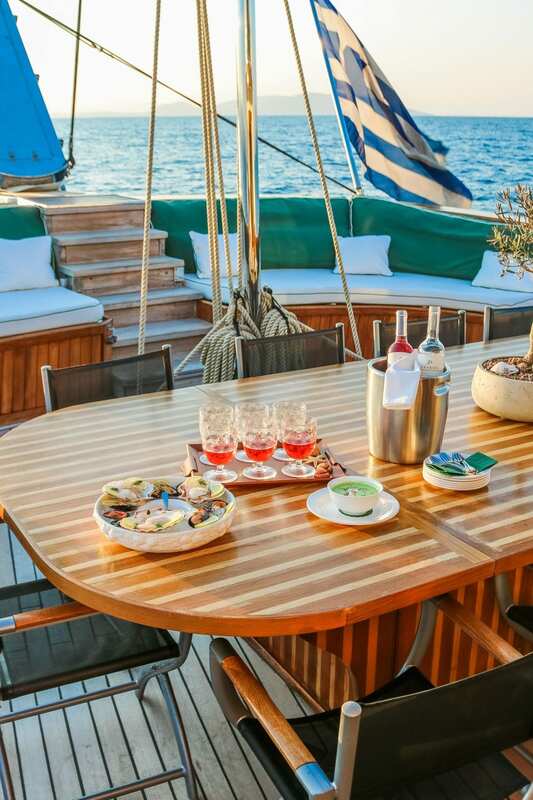 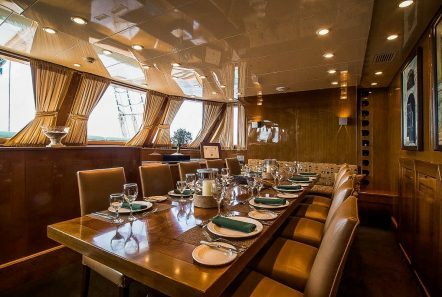 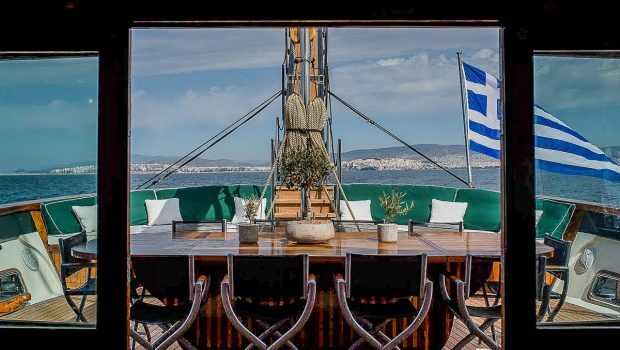 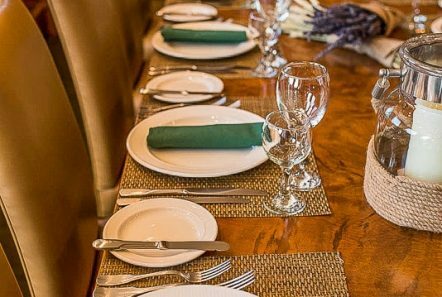 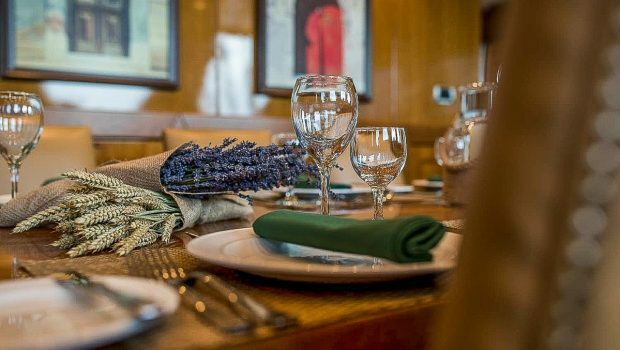 On the aft of the yacht there is an area ideal for sunbathing, sightseeing or a enjoying a relaxing meal. 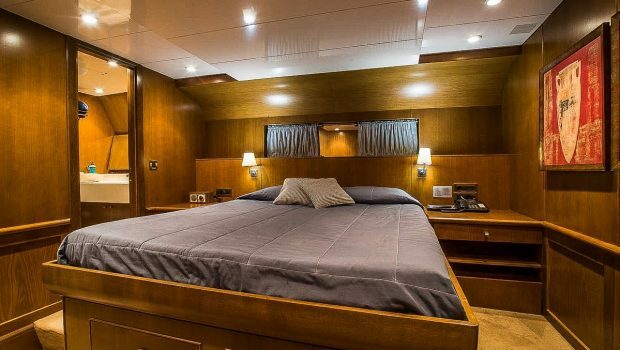 There is a plasma TV in the main salon for entertainment (with HDMI connection and a full DVD and music library) as well as a TV in the master suite.Her gorgeous various woods and beautiful wood patterns on the walls and furniture create a unique organic luxury environment. 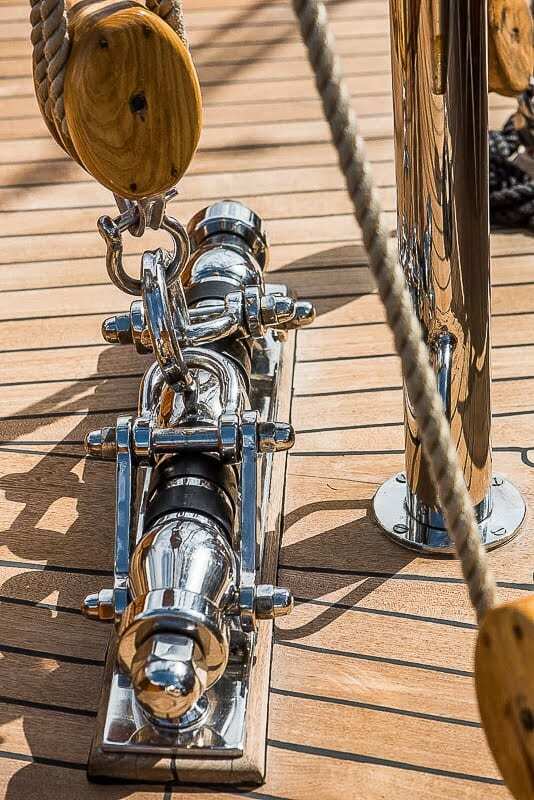 A plethora of sea toys for all guests needs are available, just inquire. 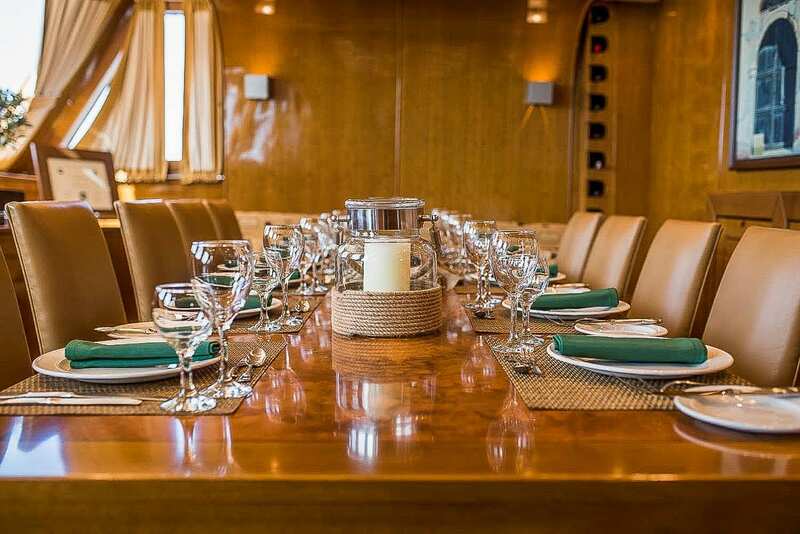 *Protocol for 48 persons cruising.